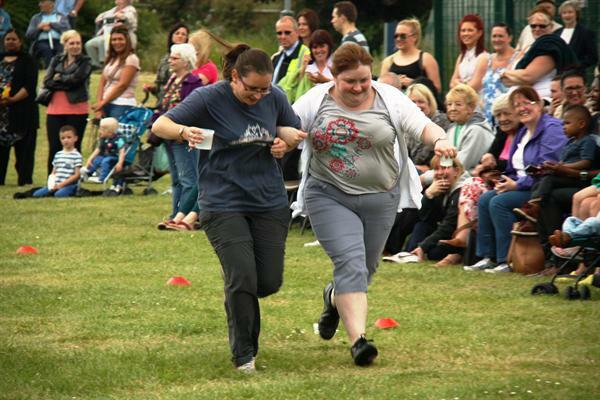 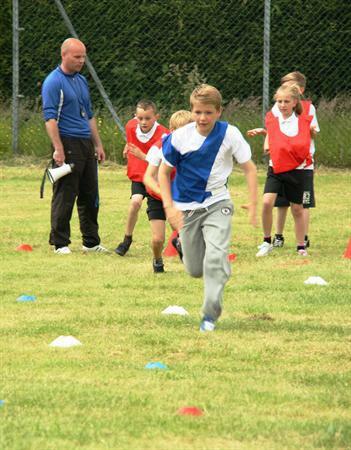 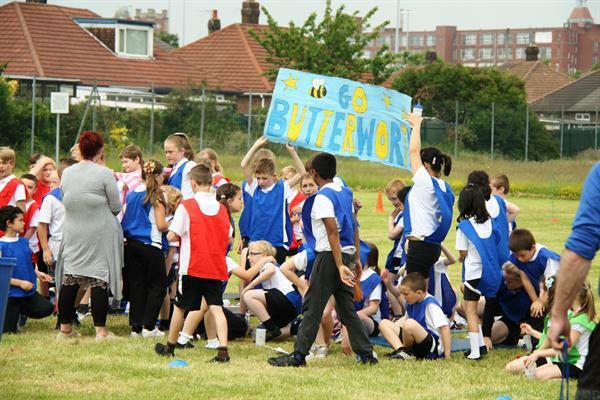 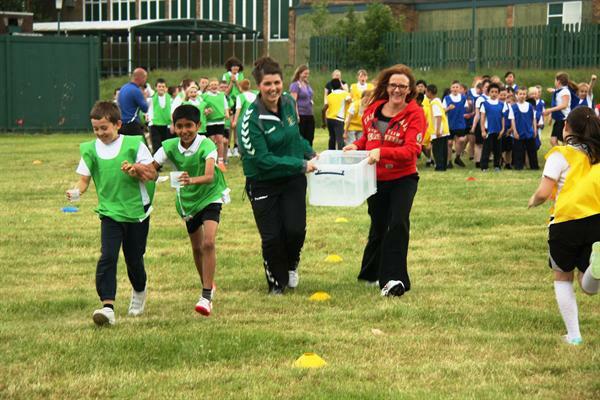 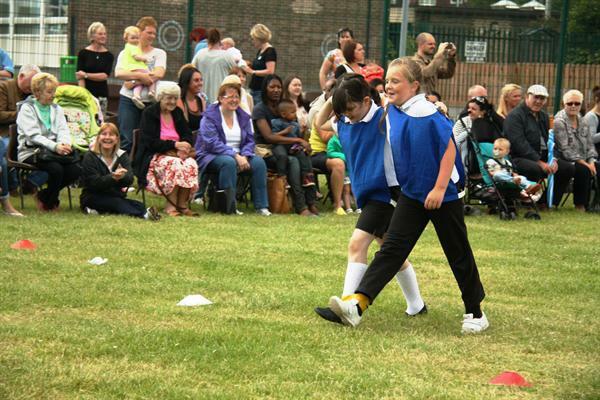 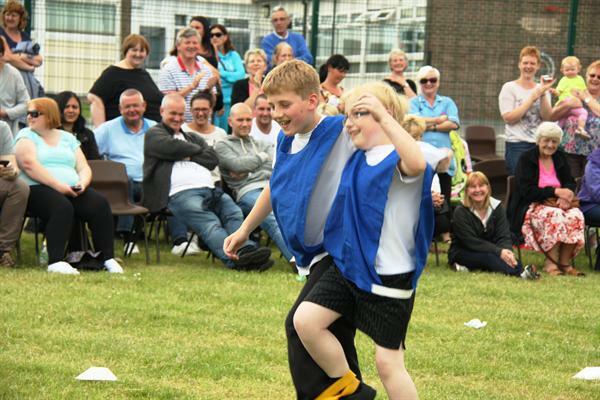 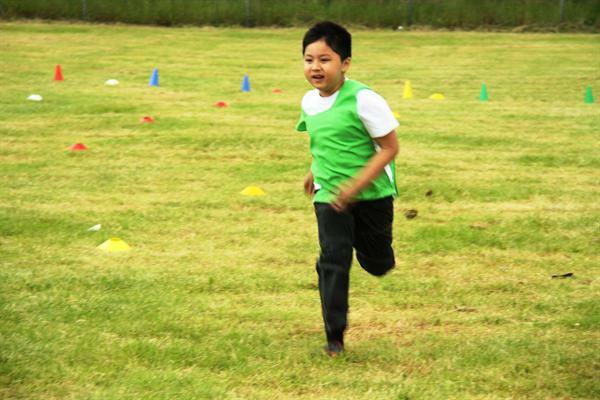 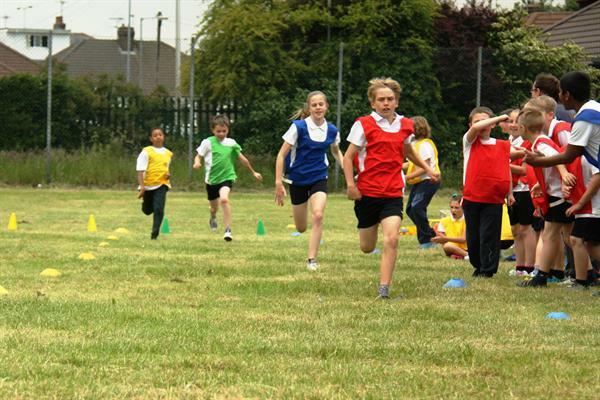 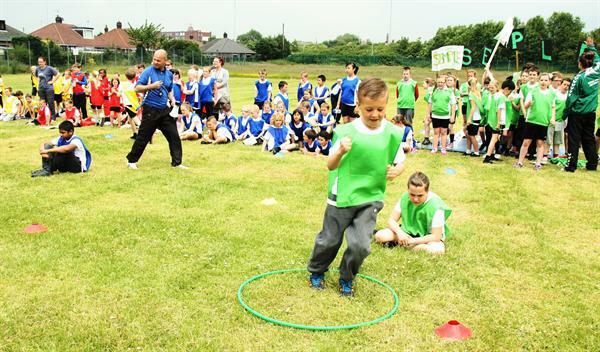 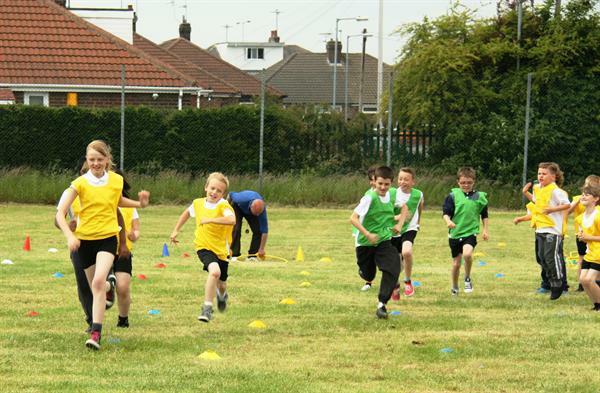 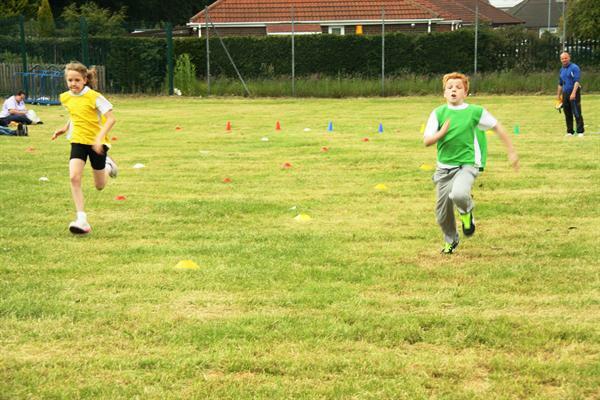 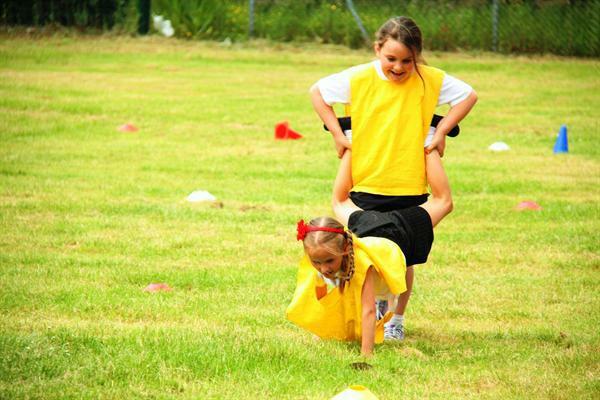 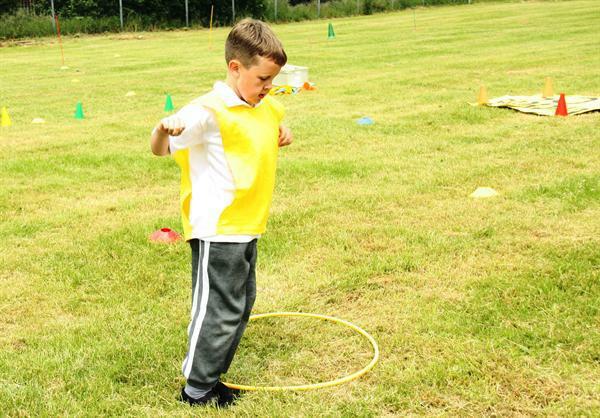 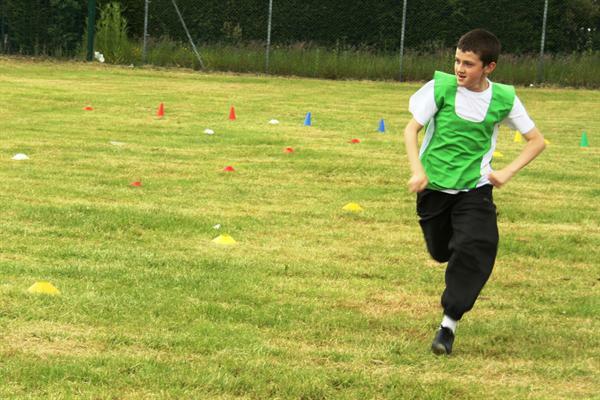 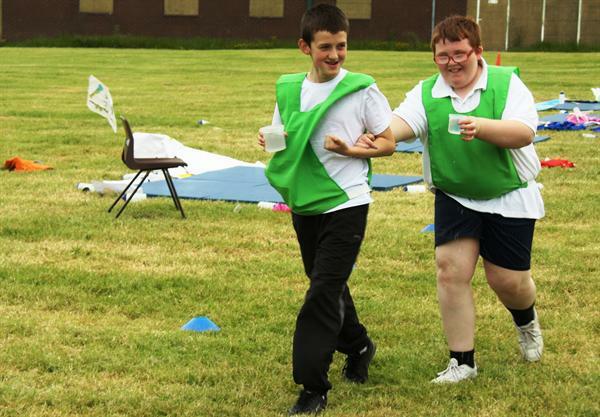 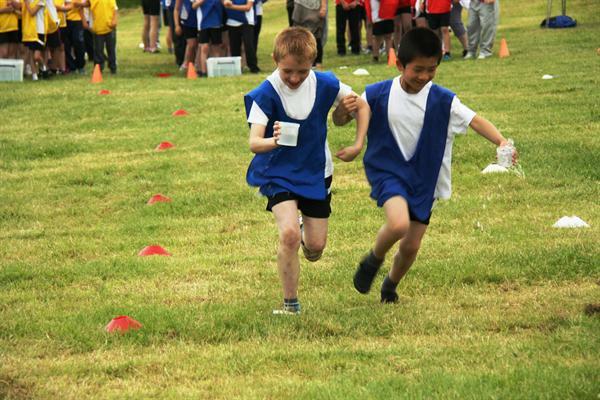 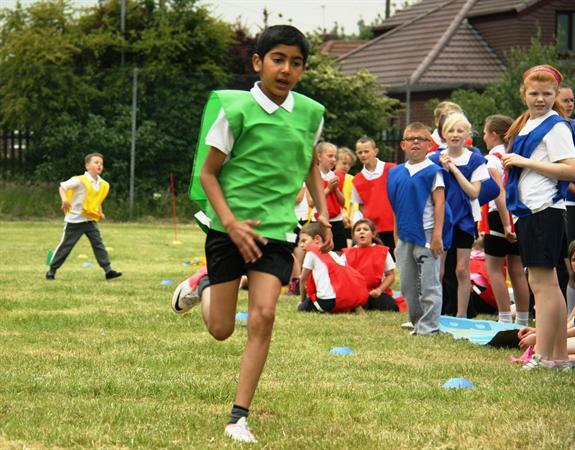 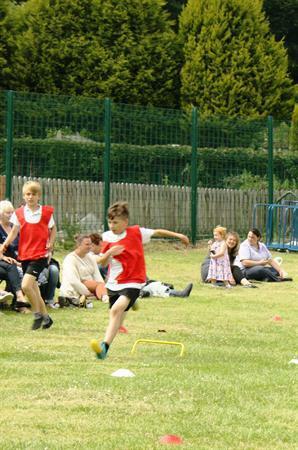 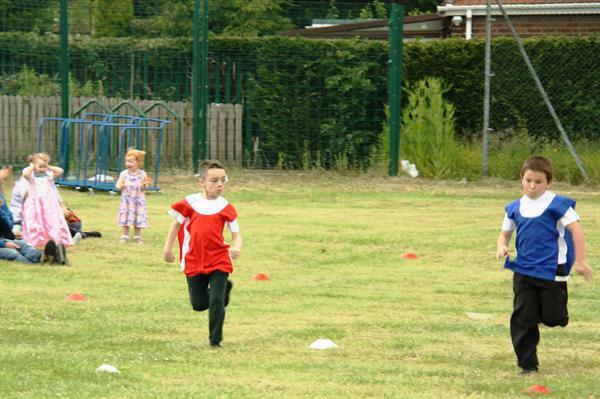 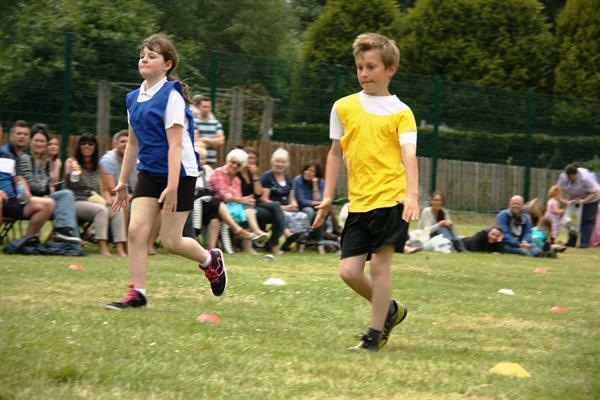 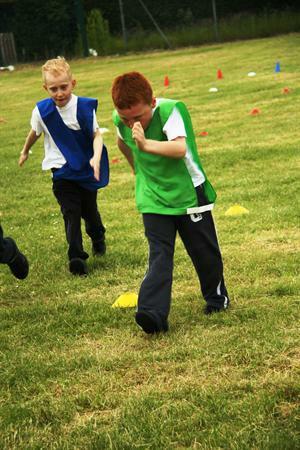 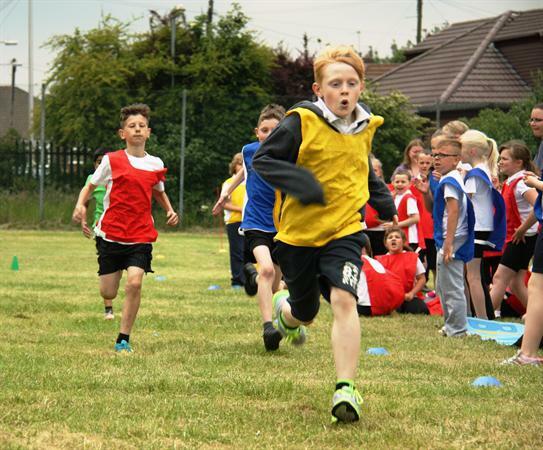 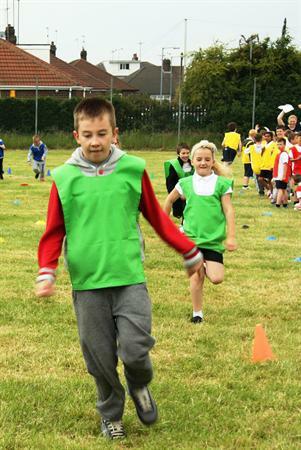 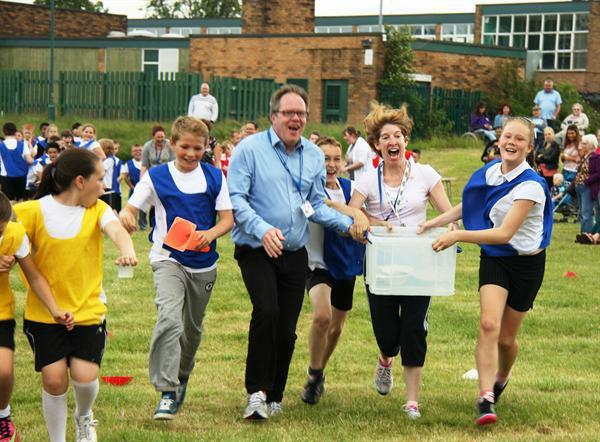 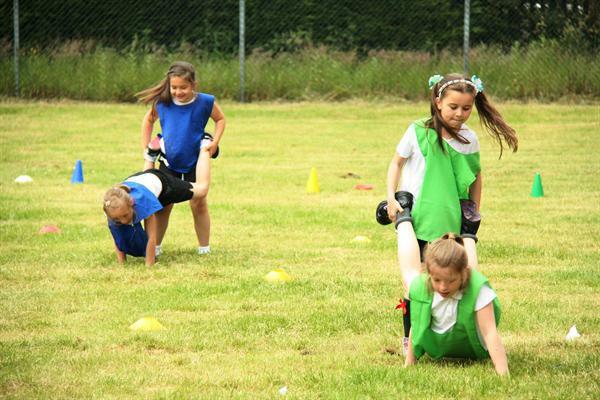 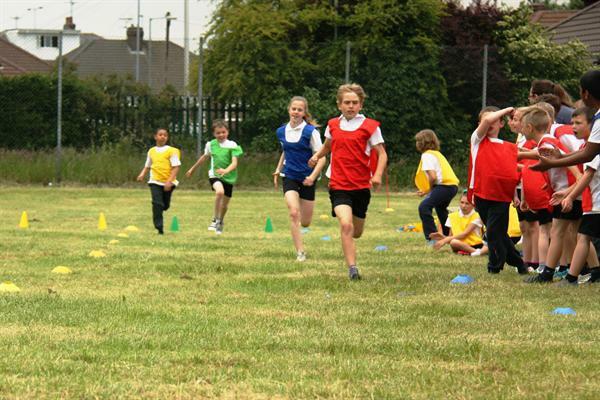 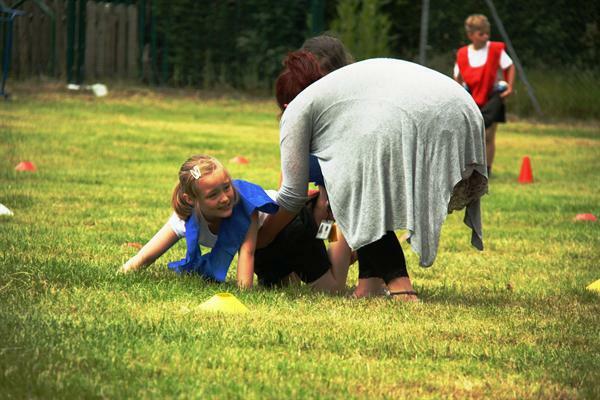 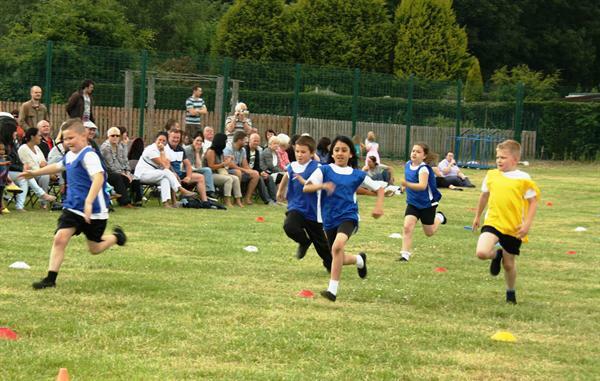 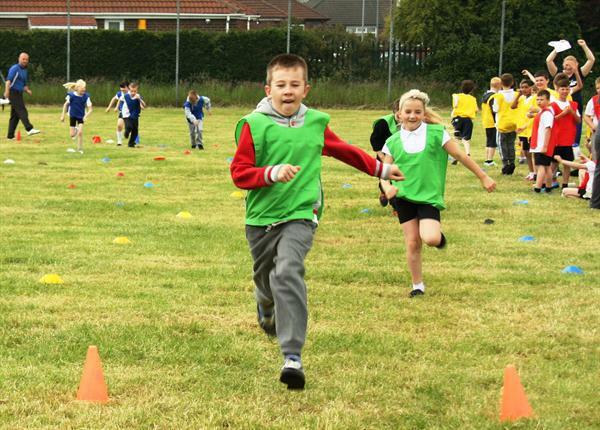 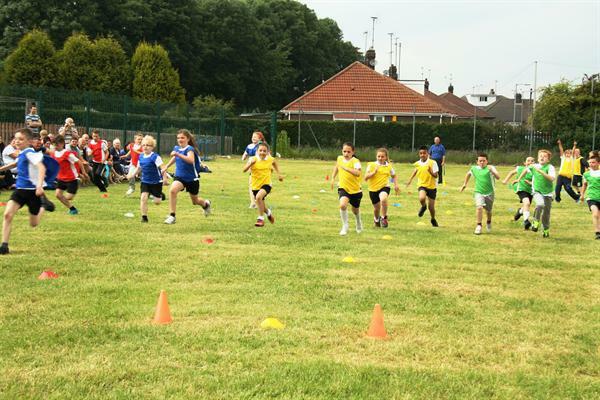 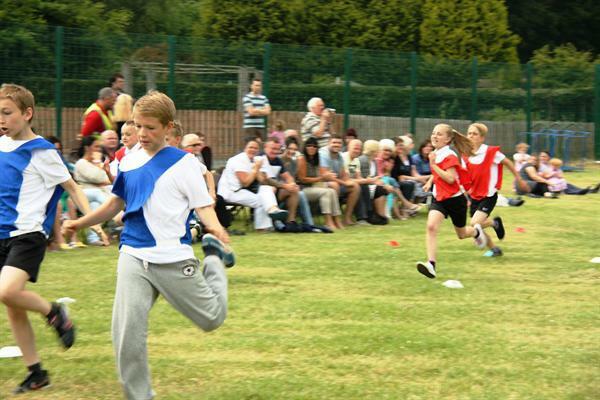 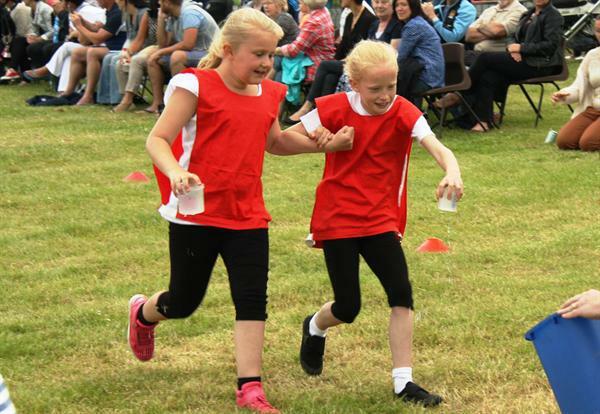 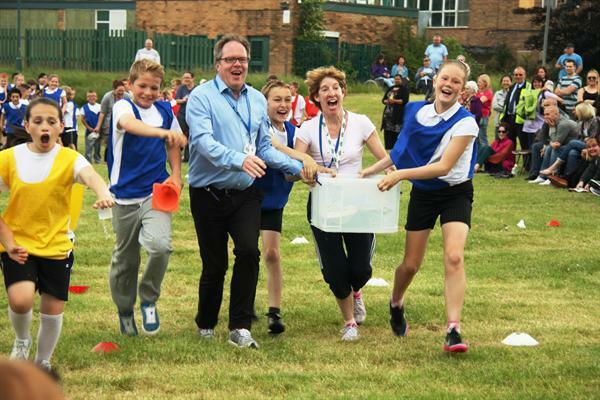 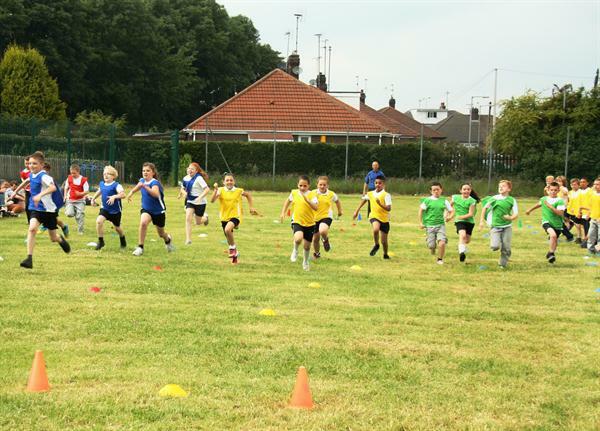 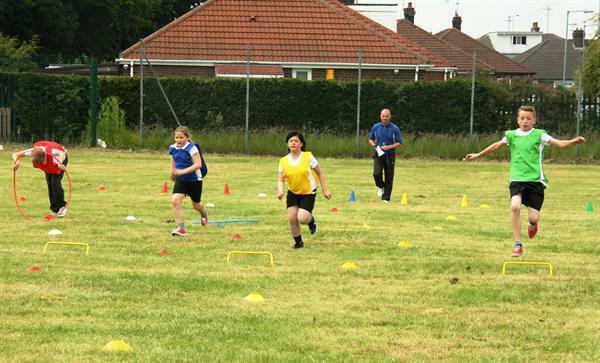 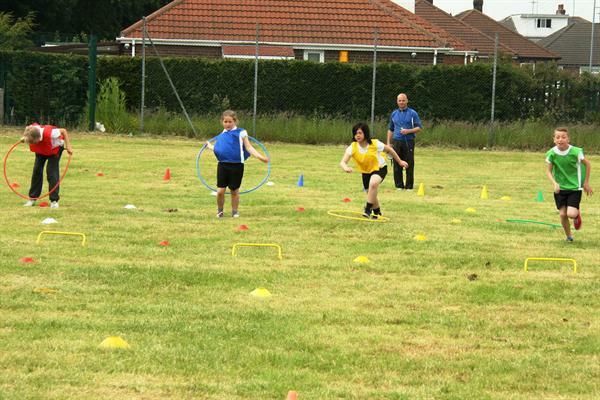 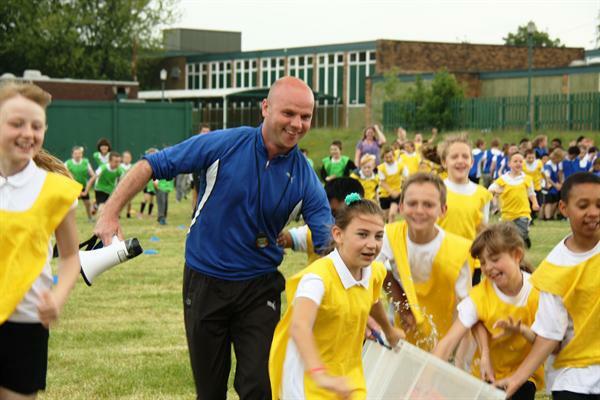 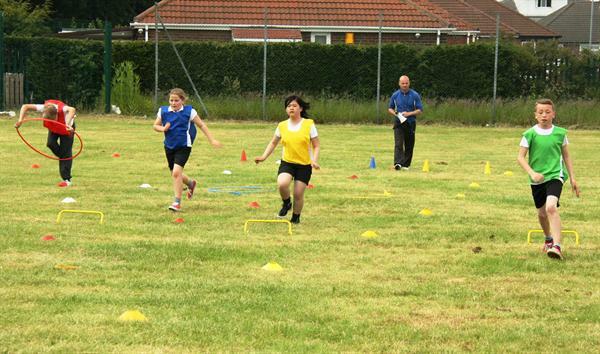 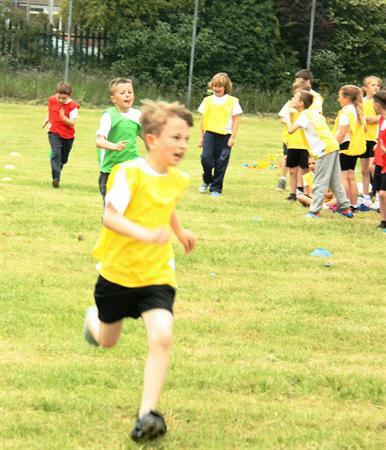 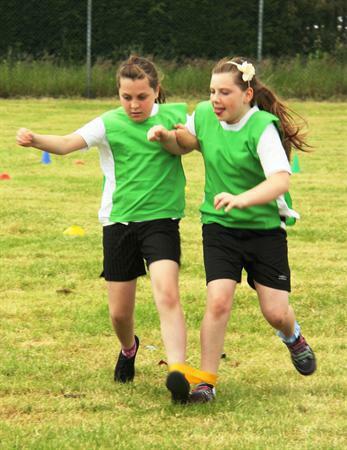 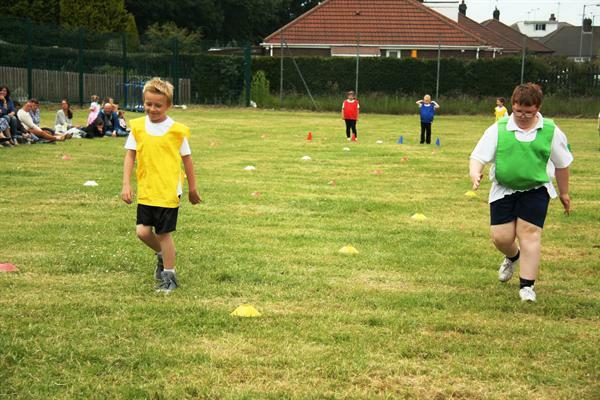 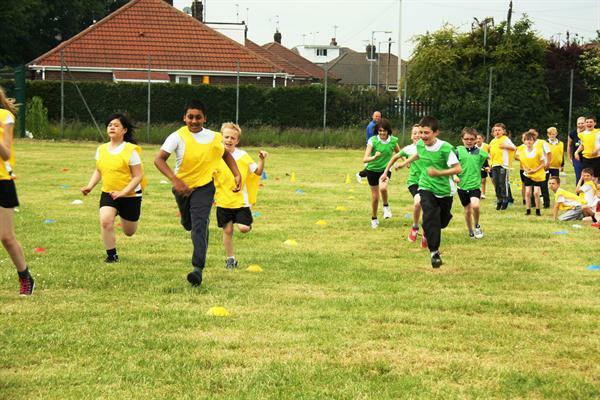 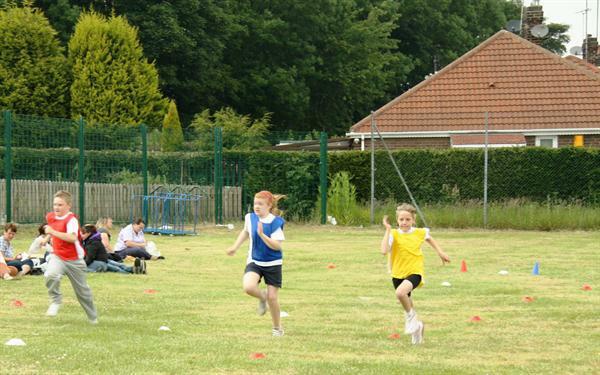 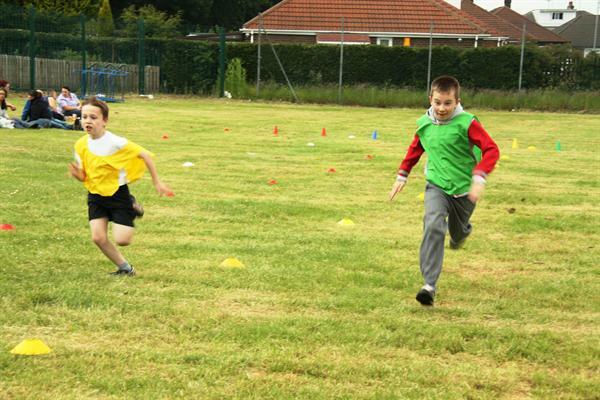 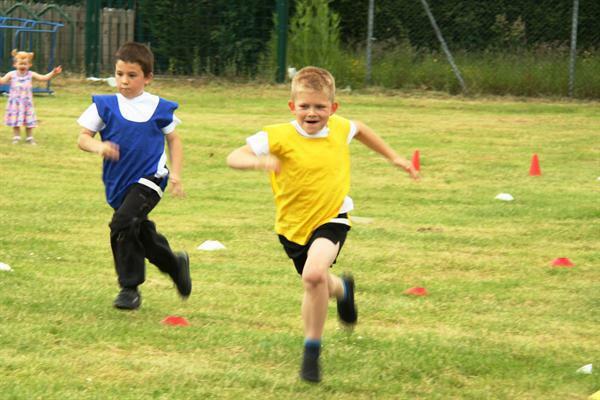 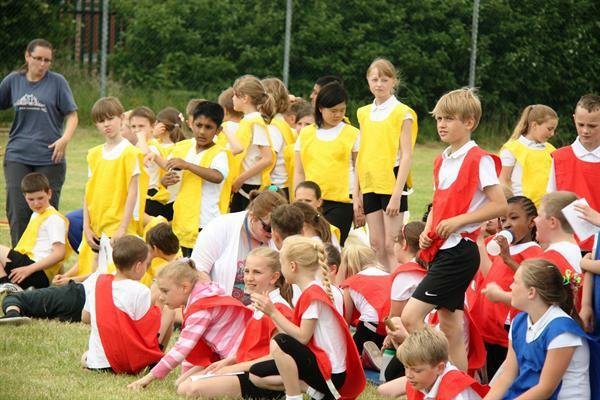 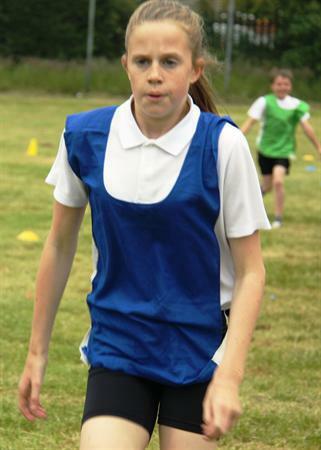 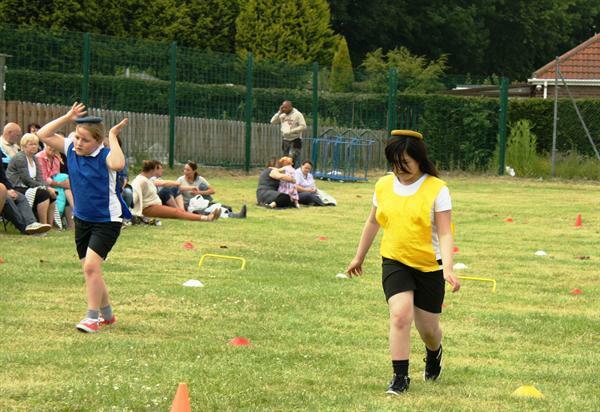 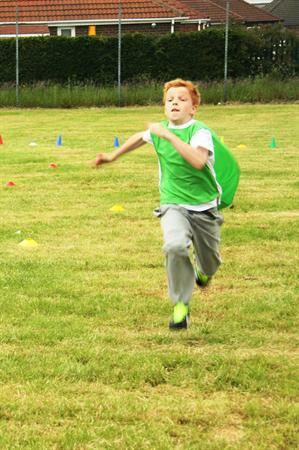 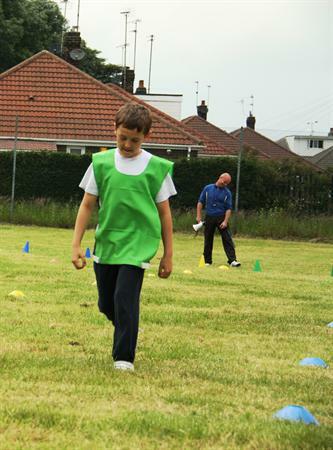 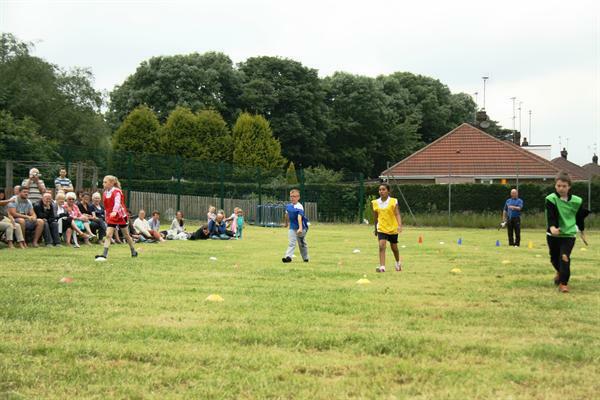 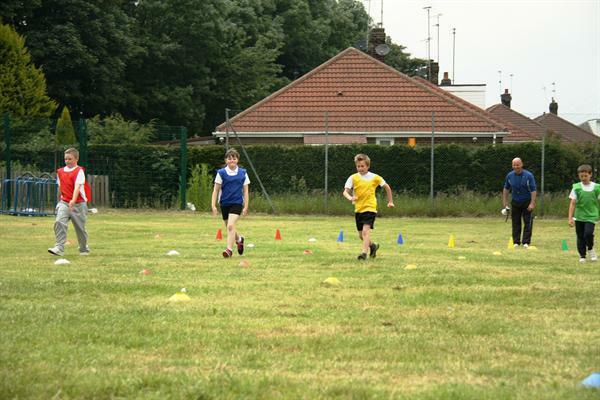 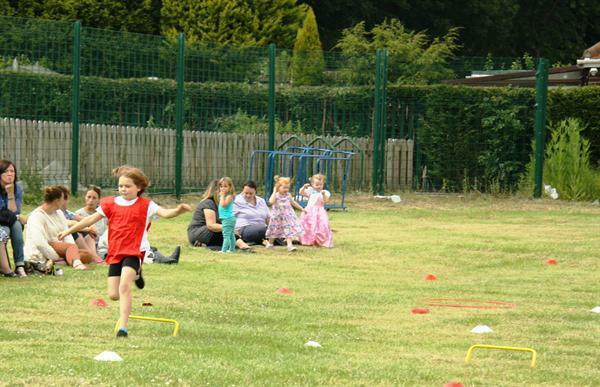 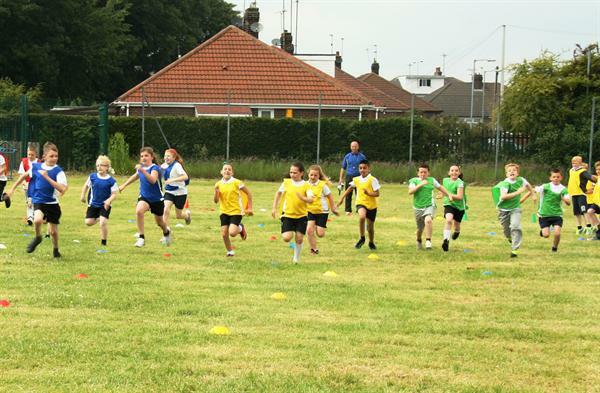 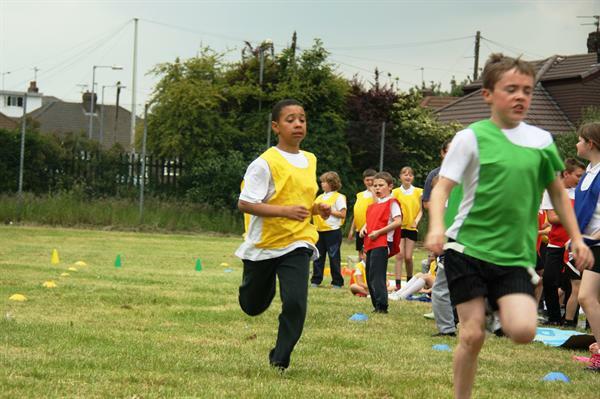 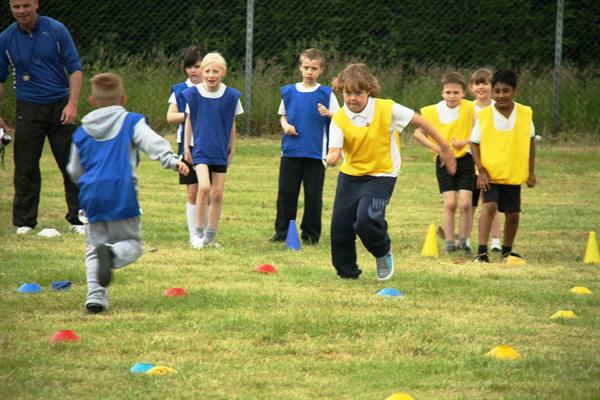 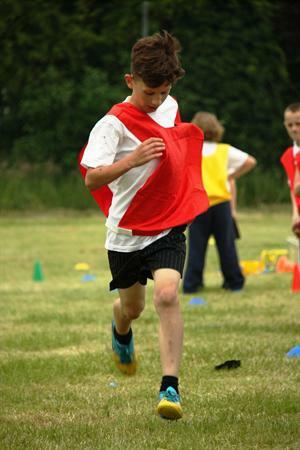 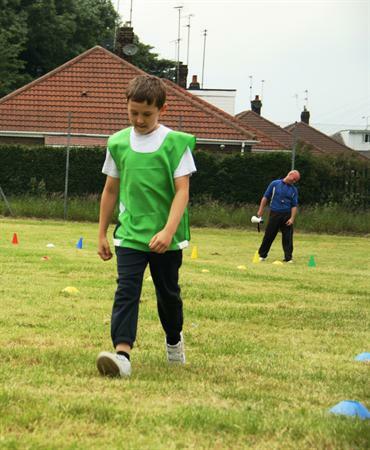 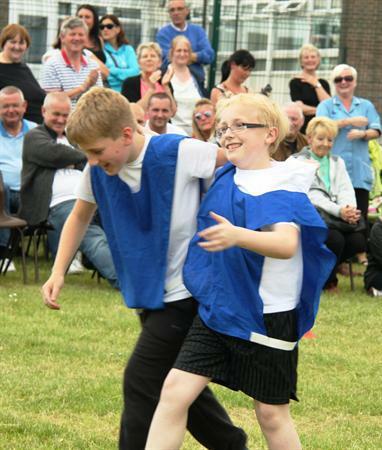 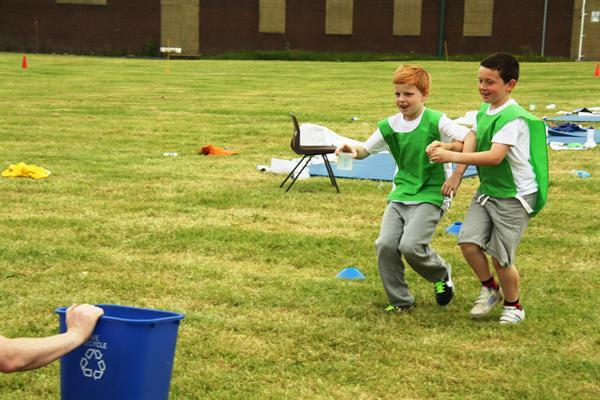 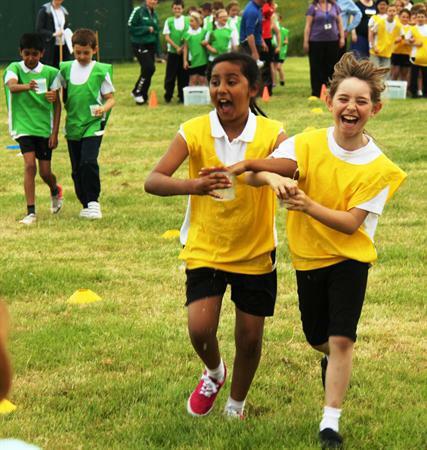 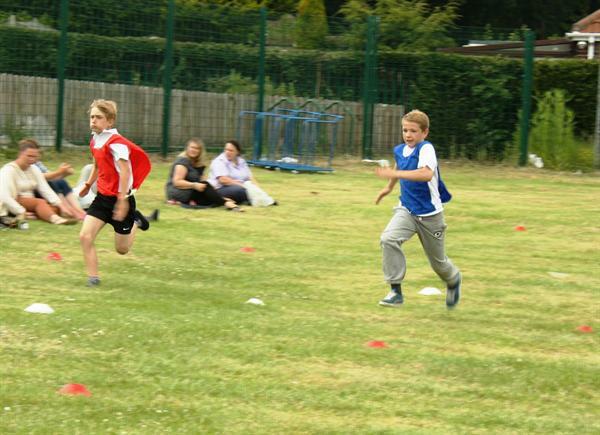 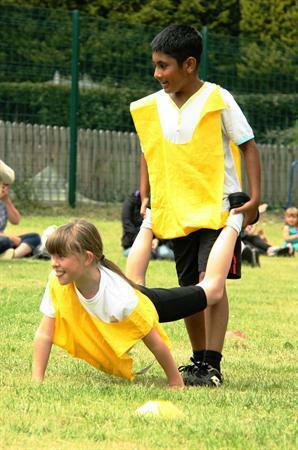 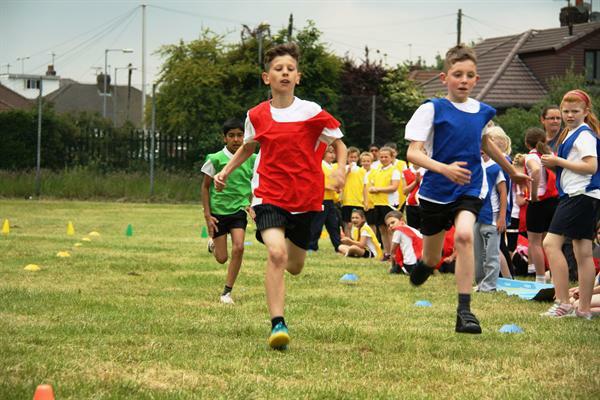 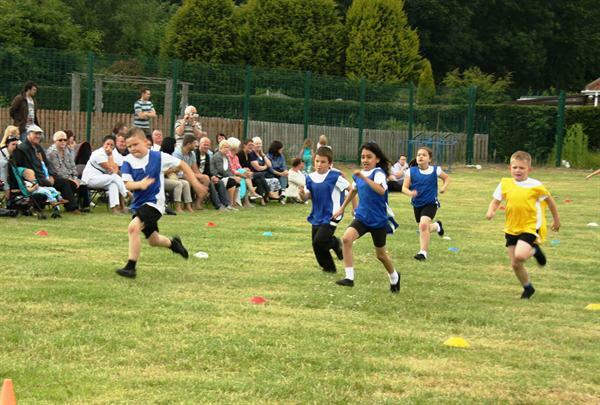 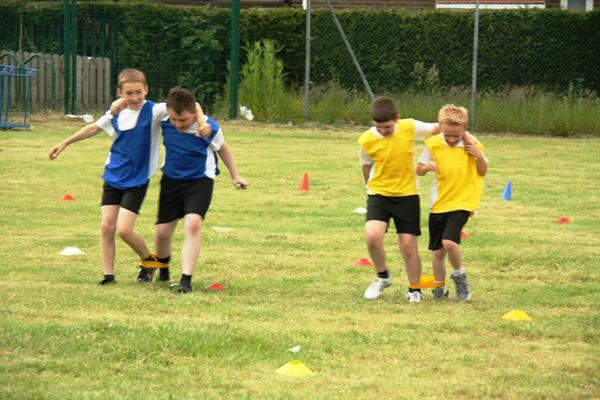 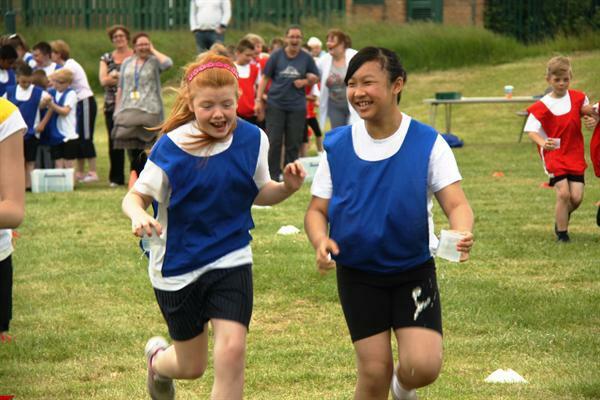 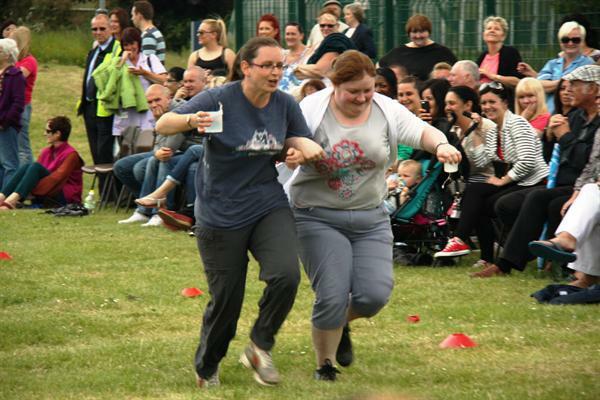 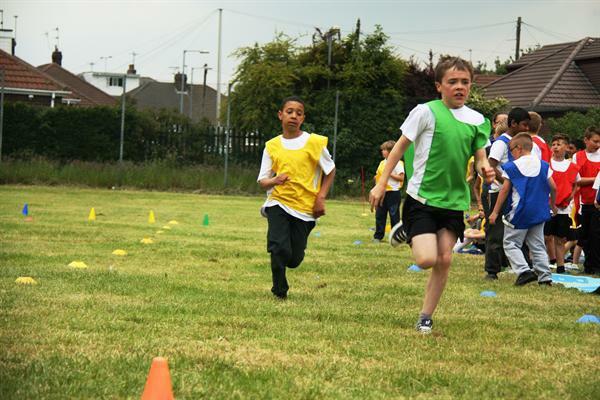 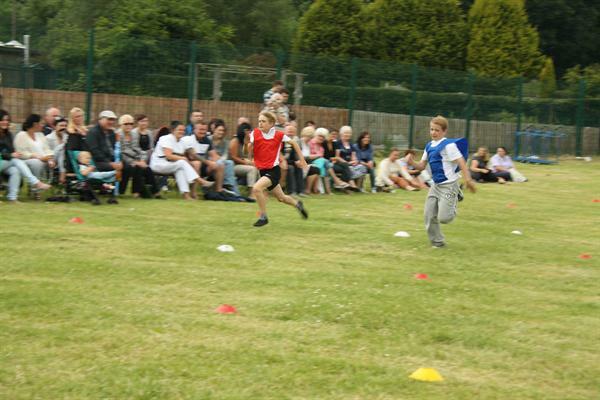 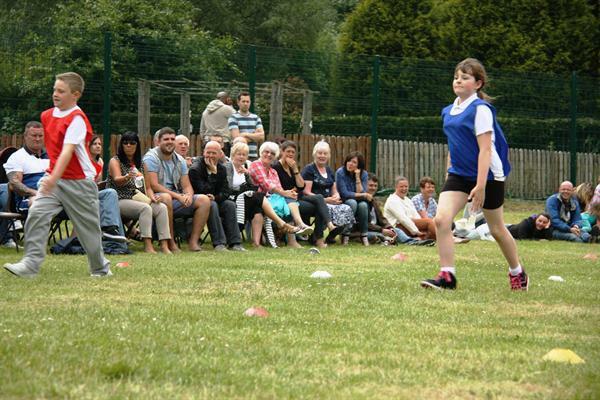 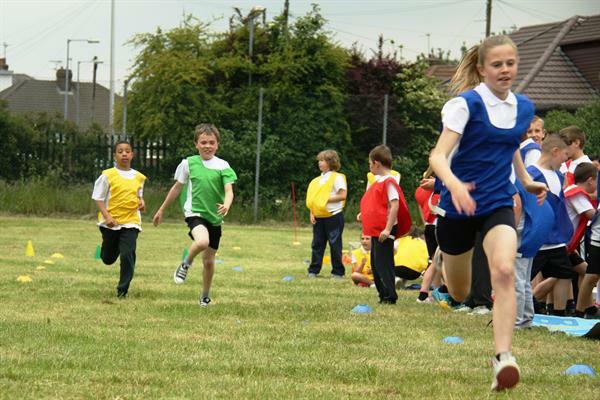 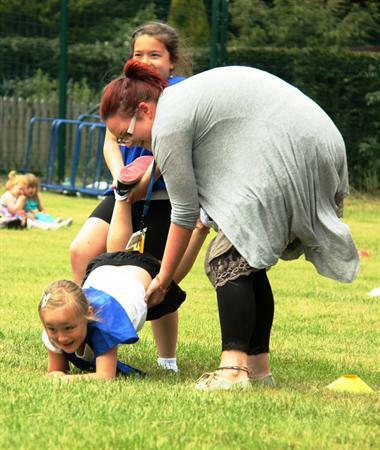 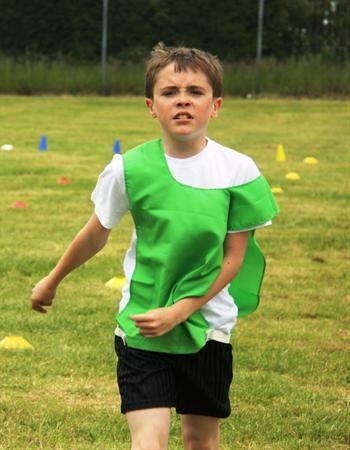 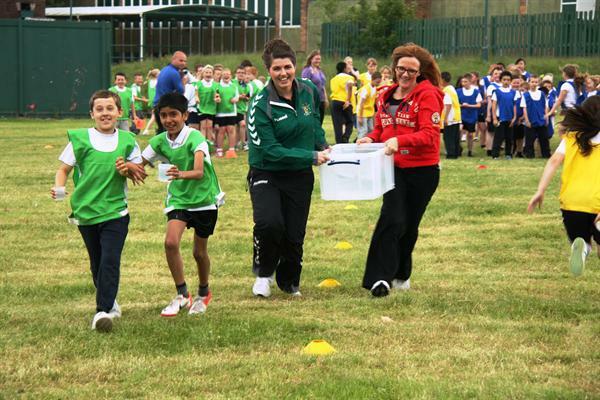 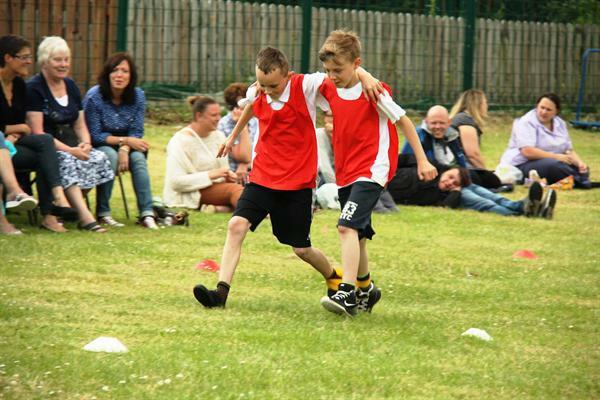 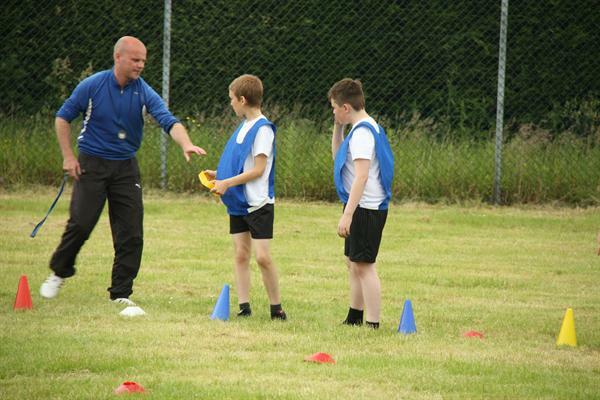 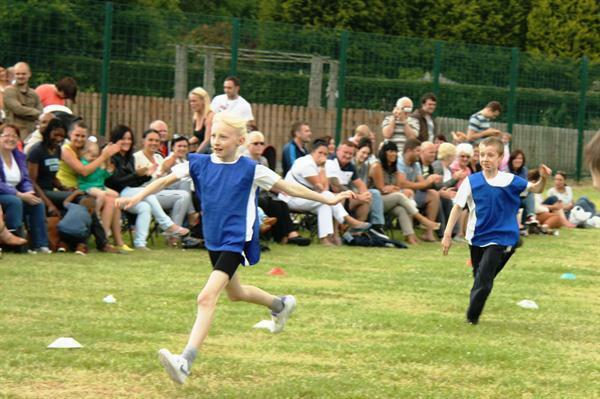 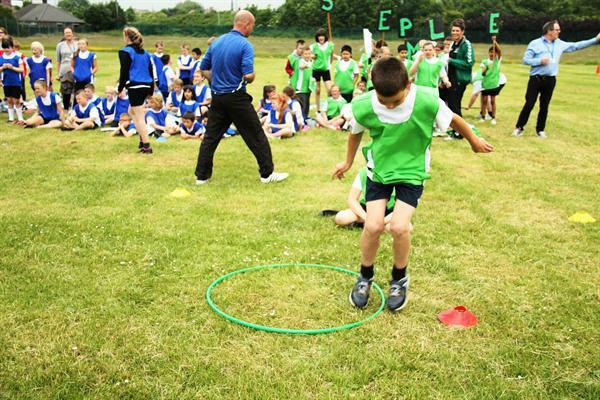 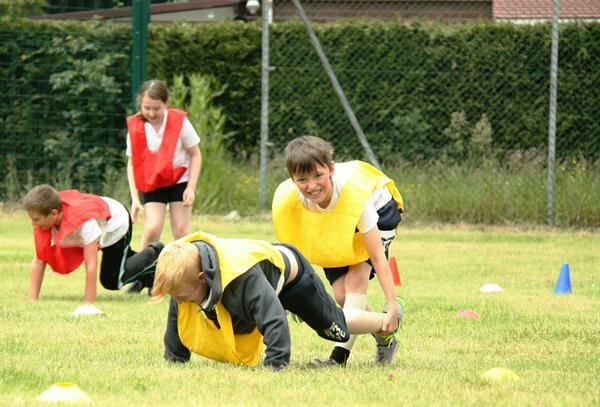 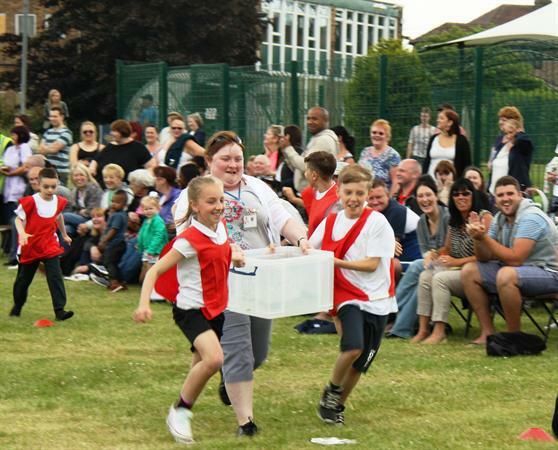 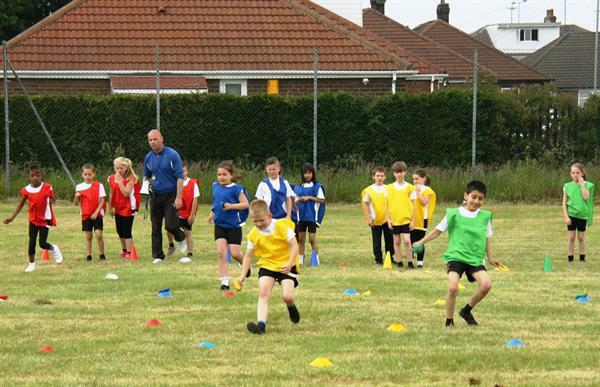 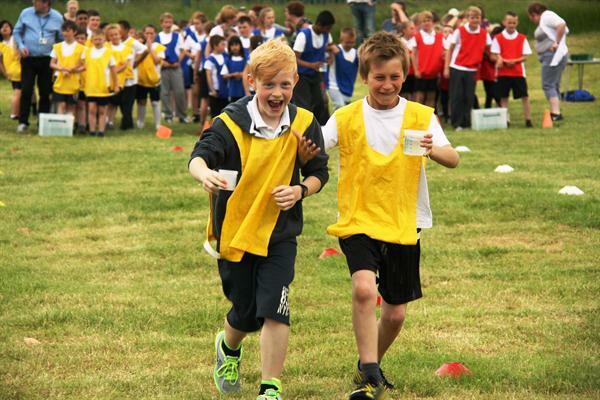 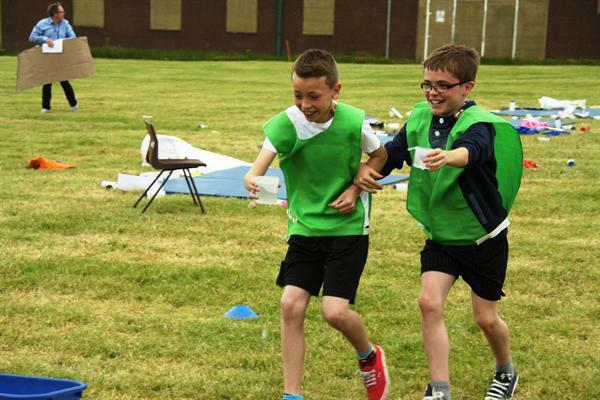 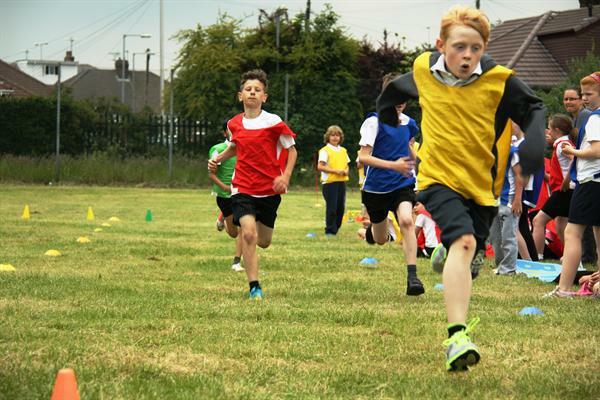 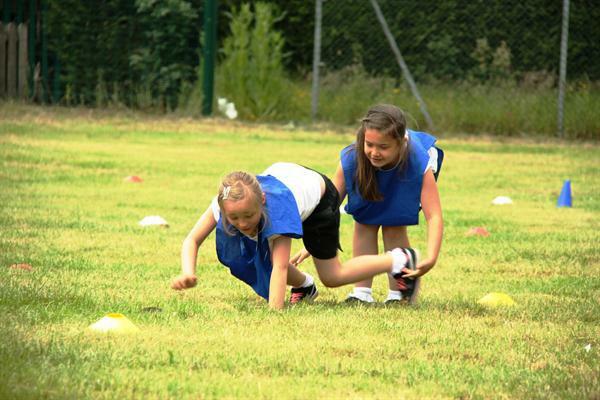 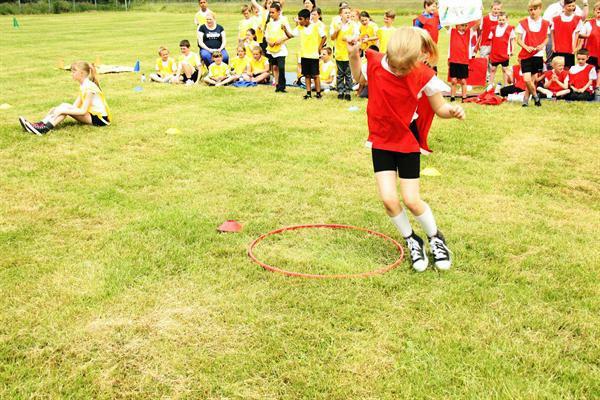 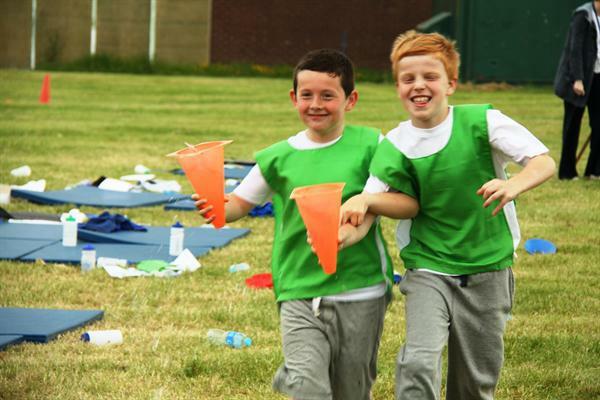 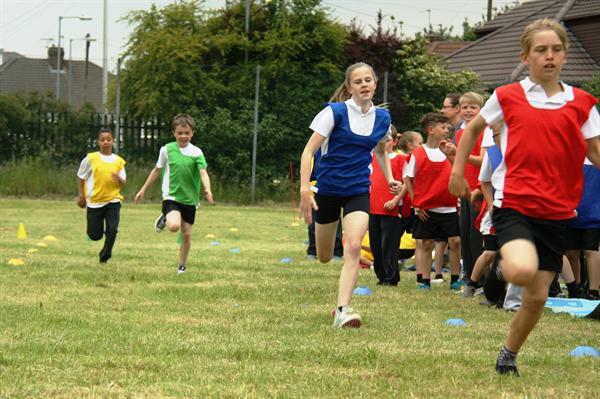 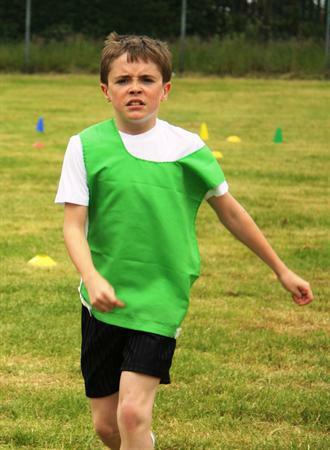 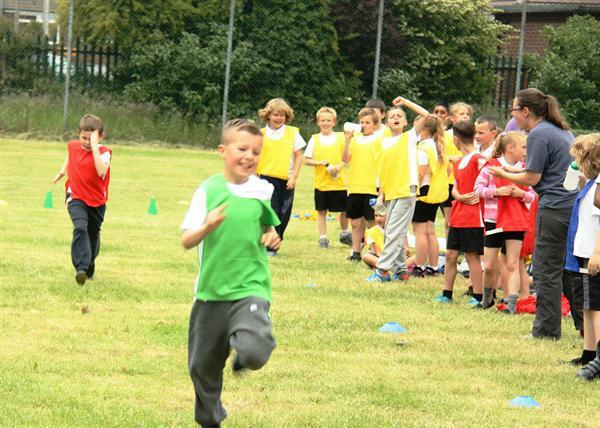 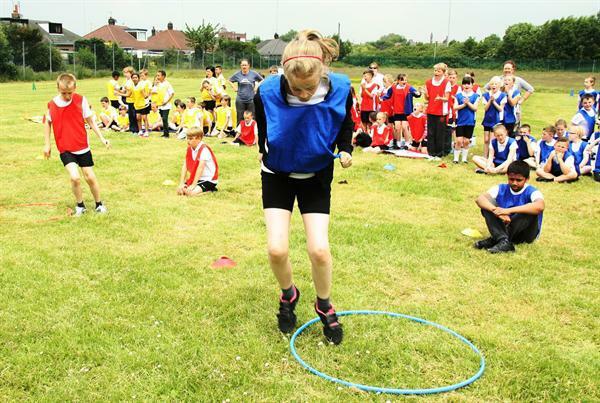 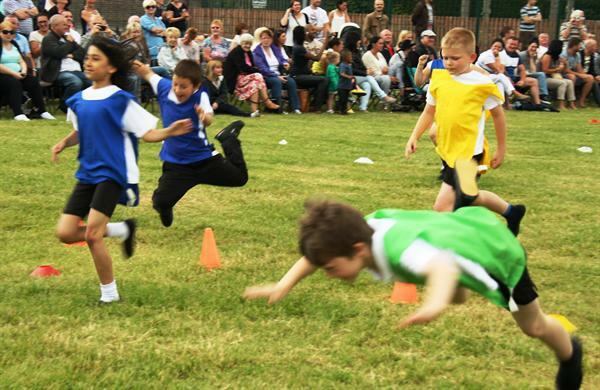 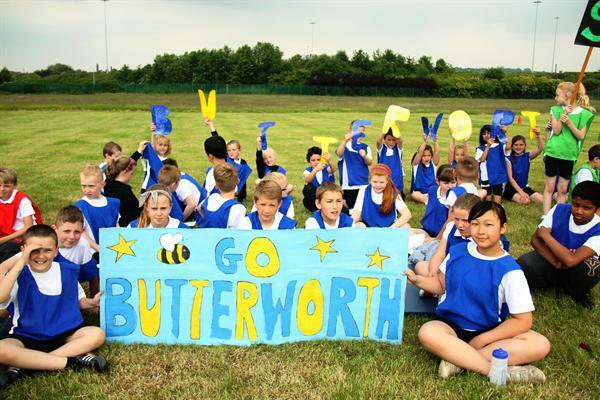 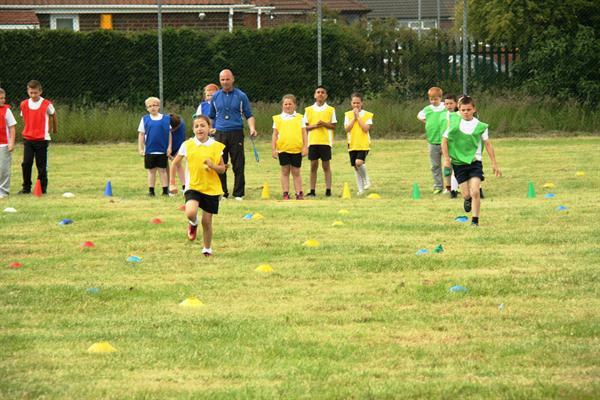 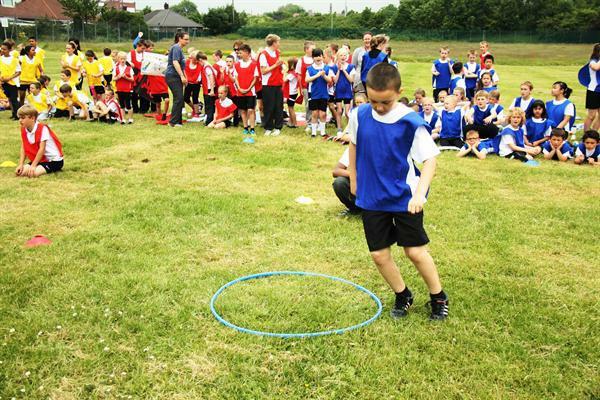 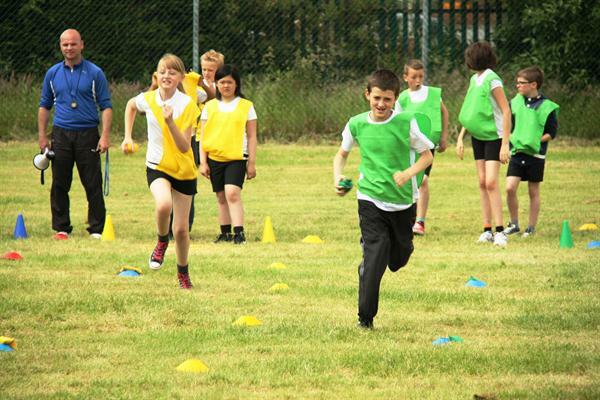 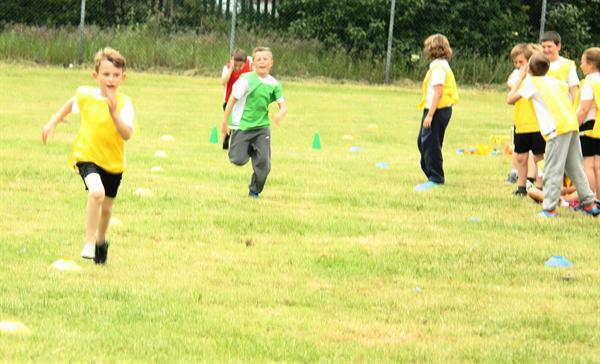 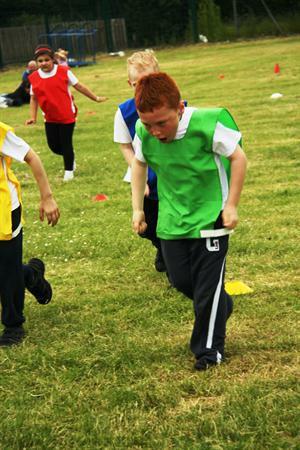 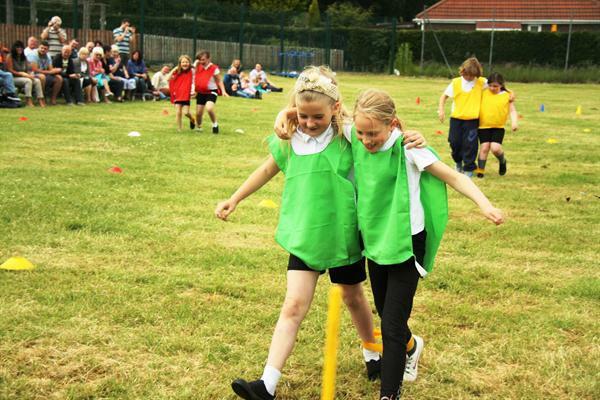 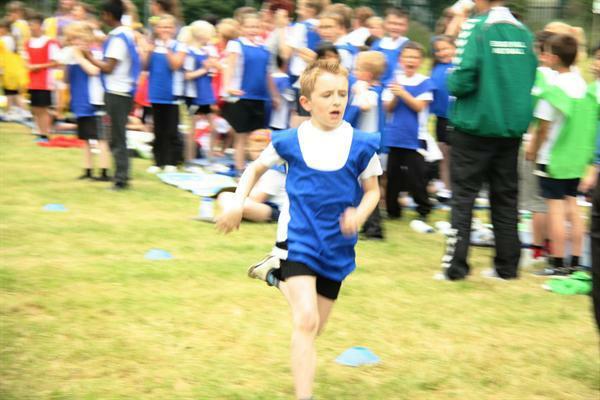 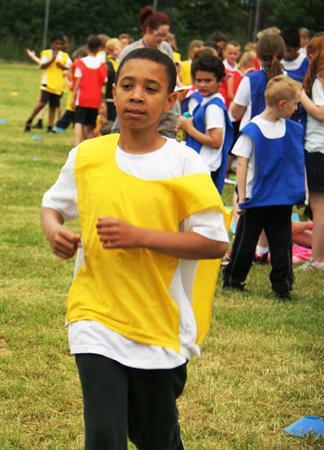 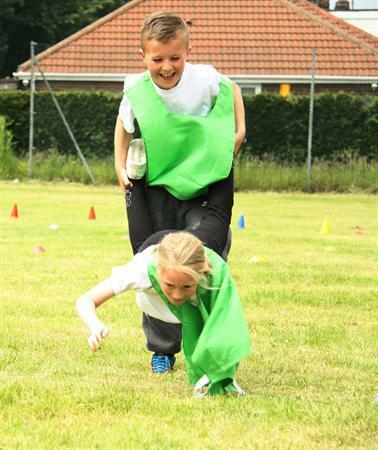 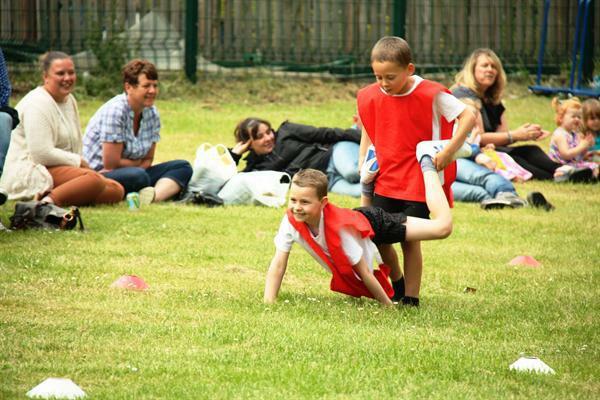 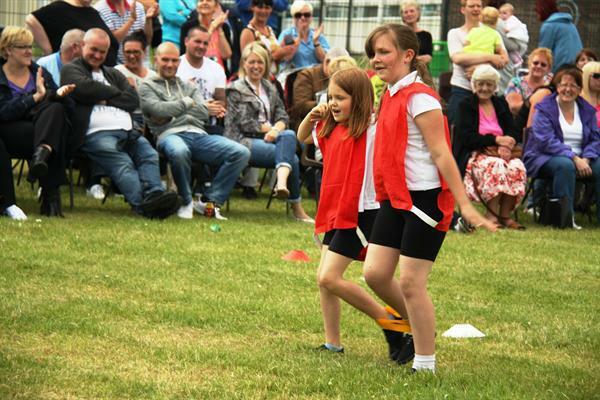 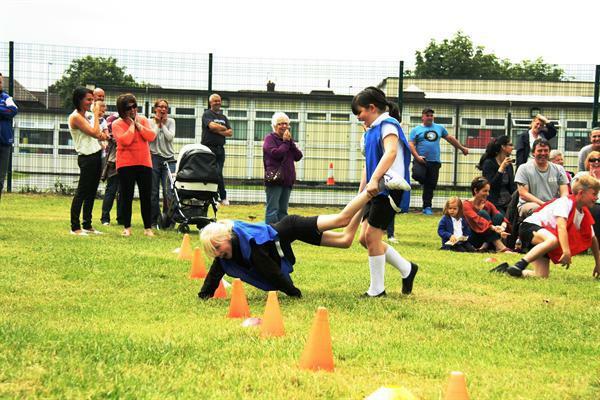 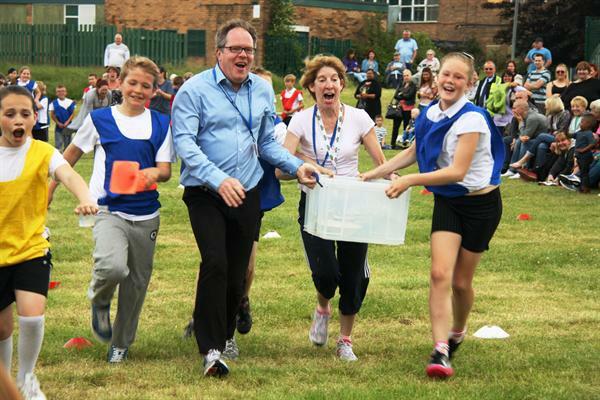 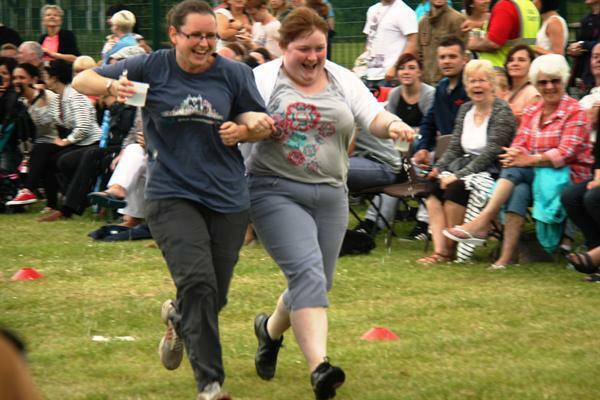 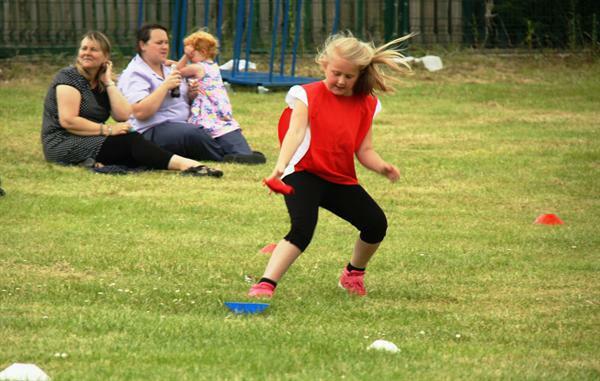 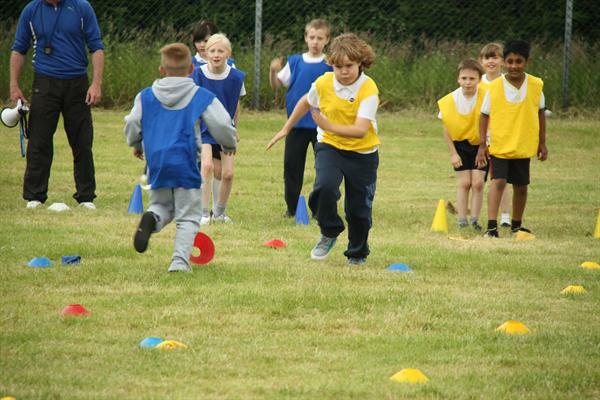 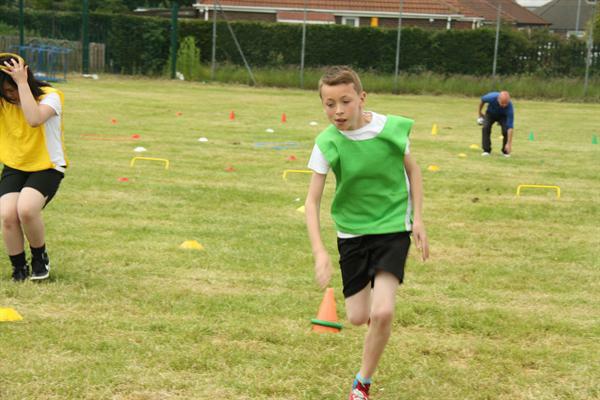 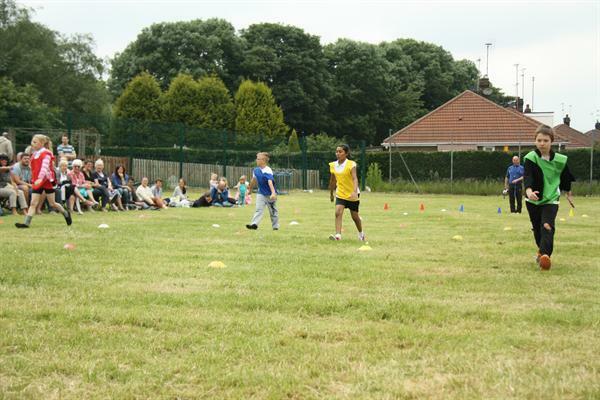 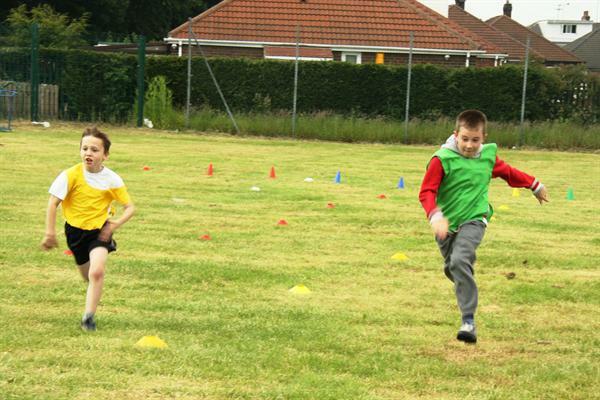 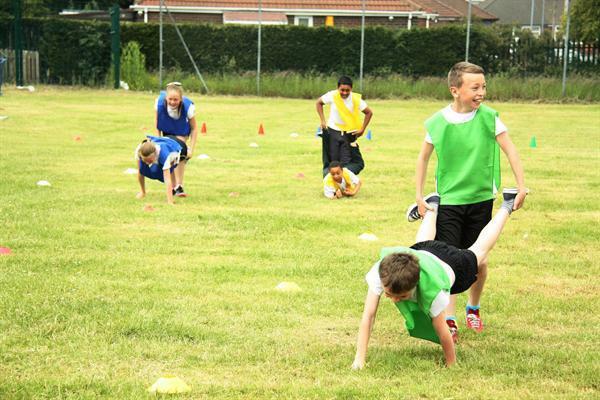 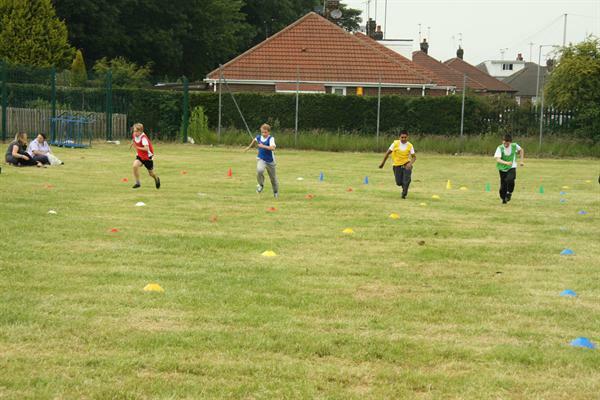 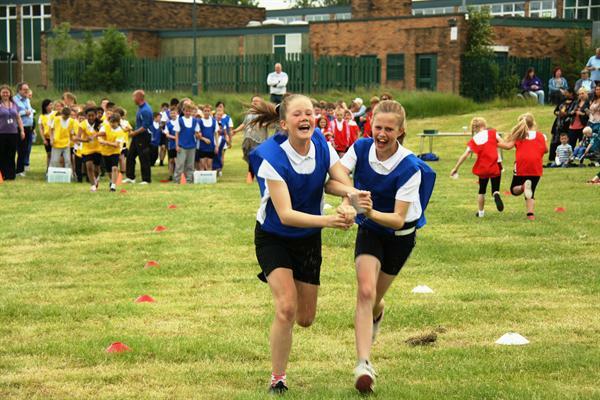 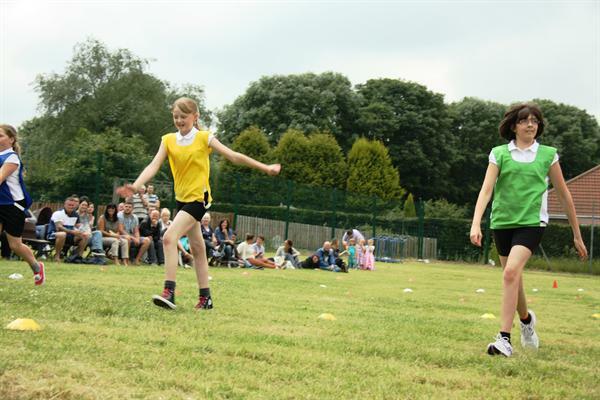 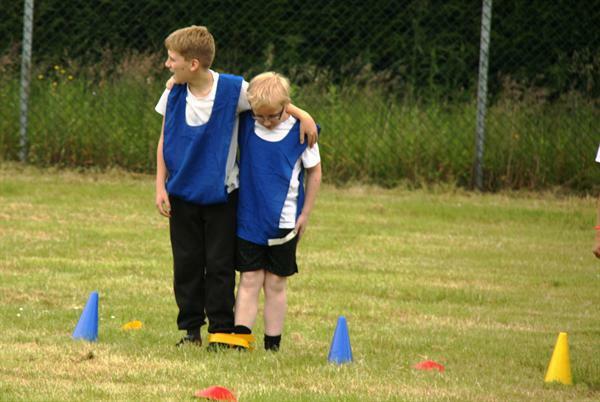 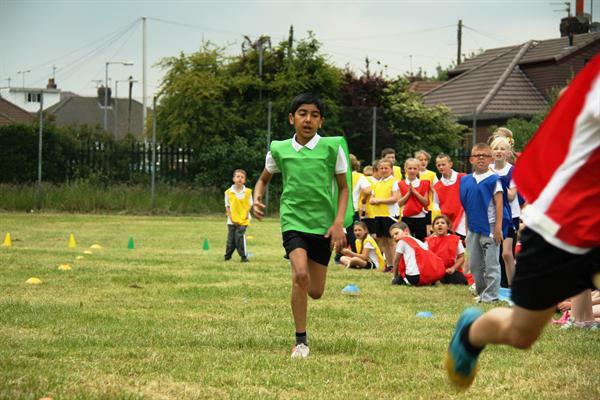 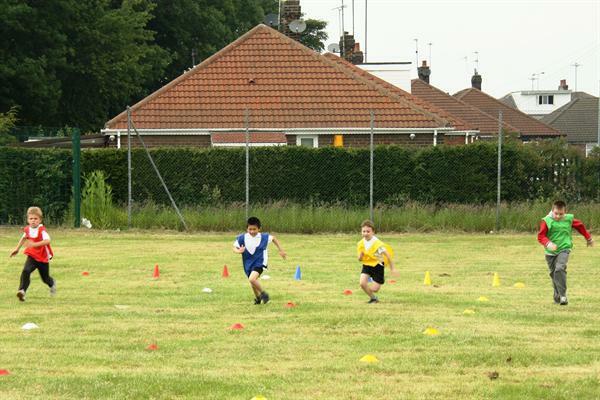 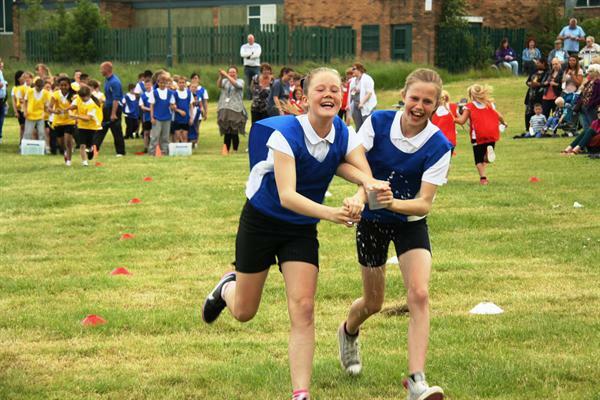 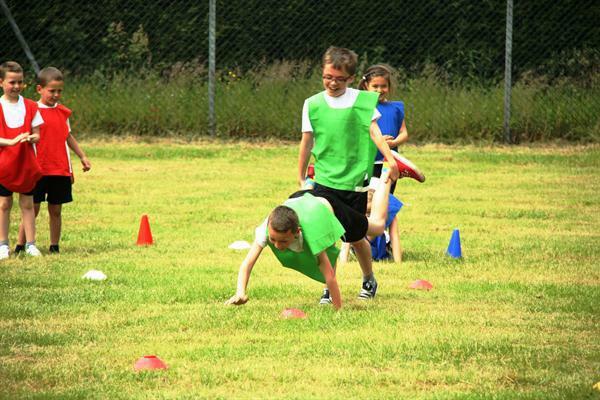 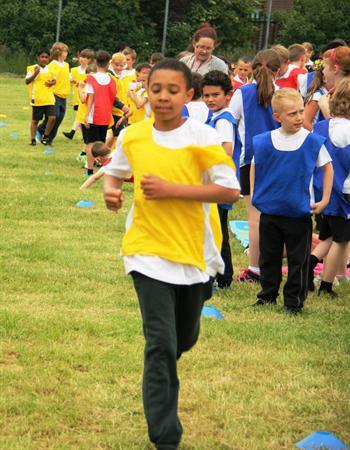 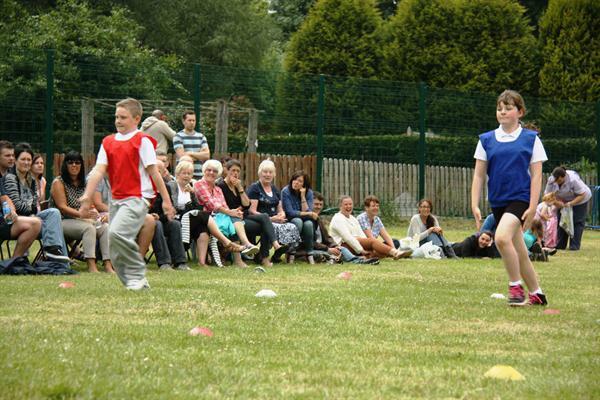 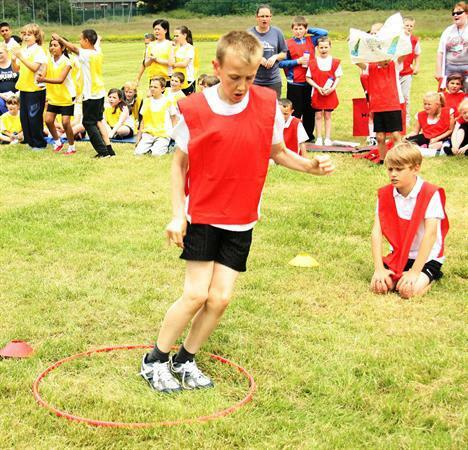 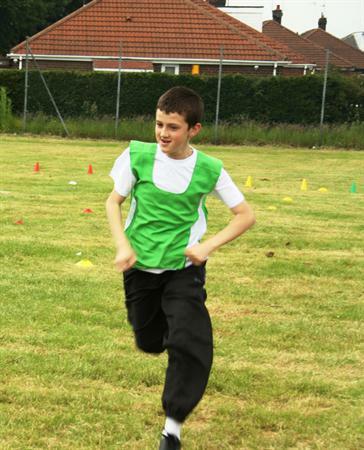 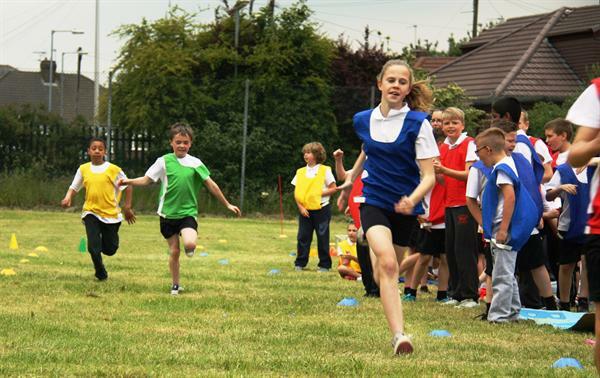 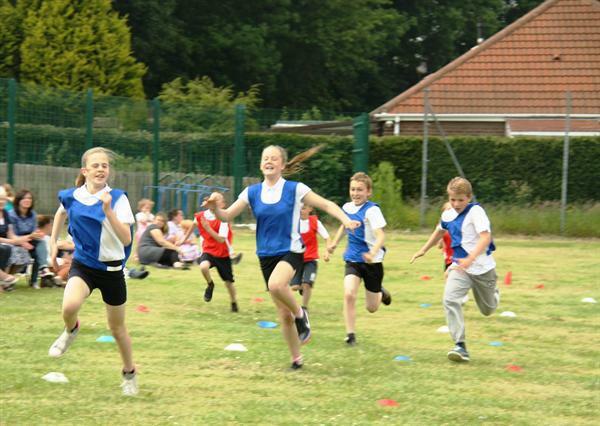 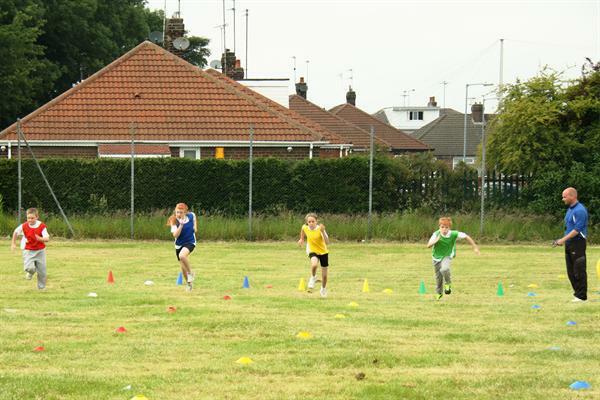 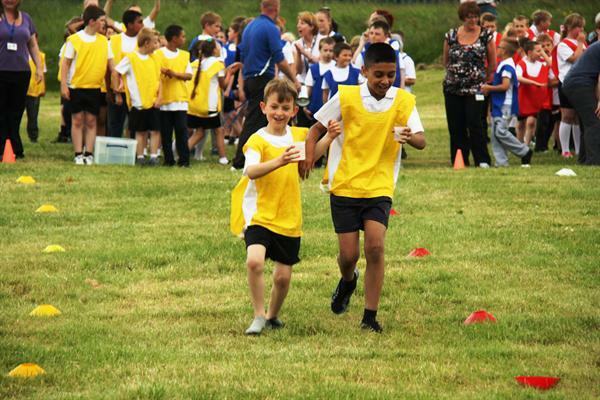 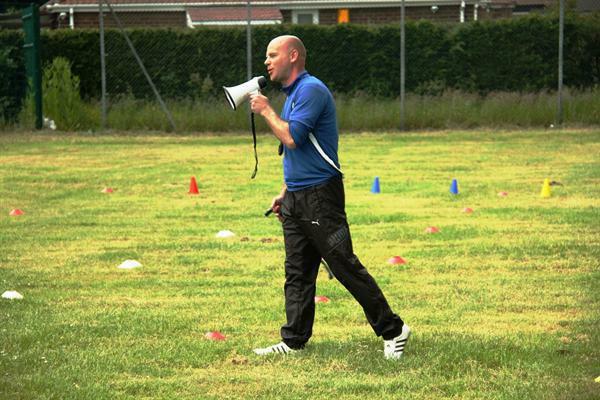 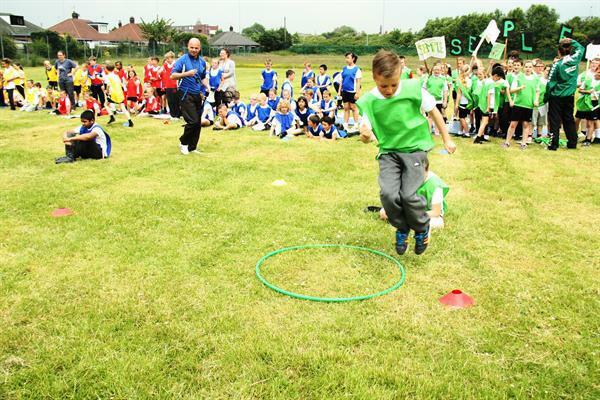 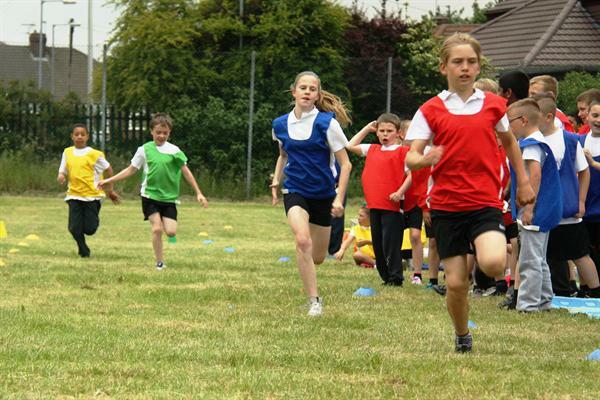 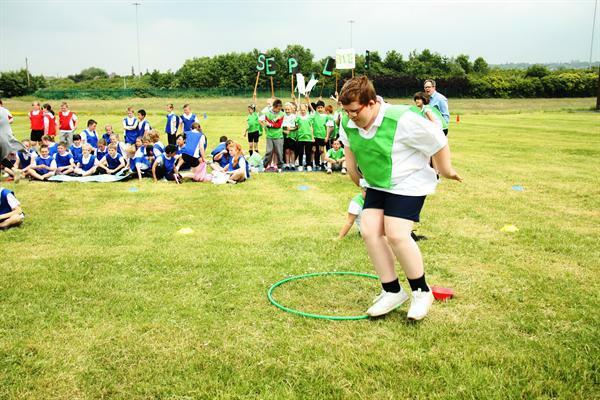 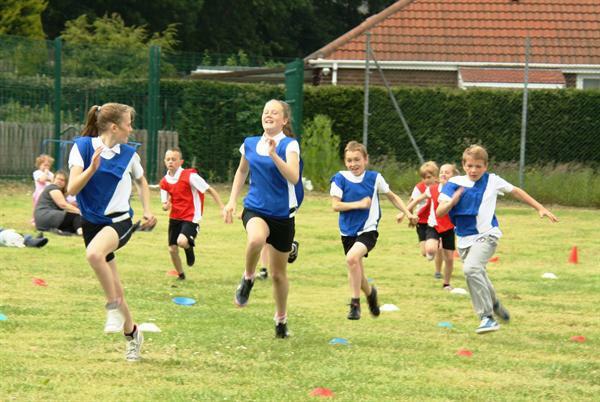 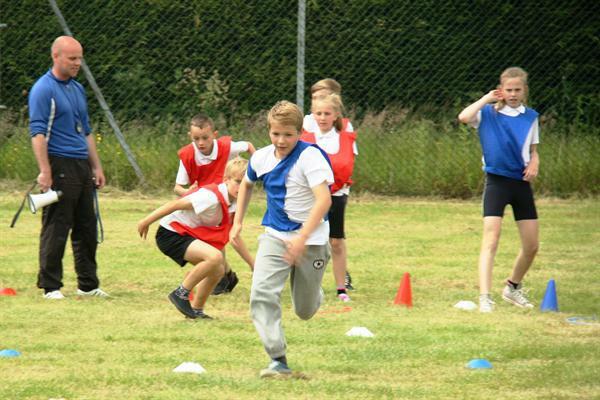 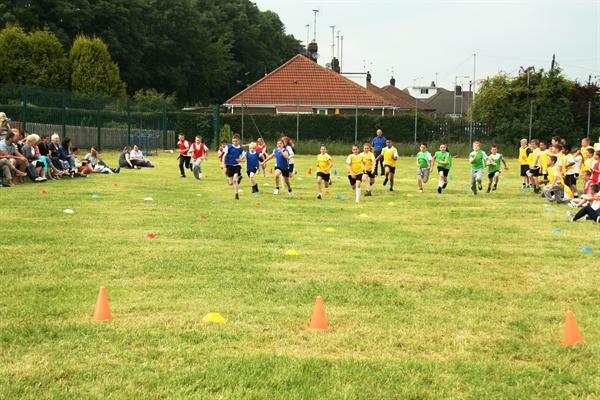 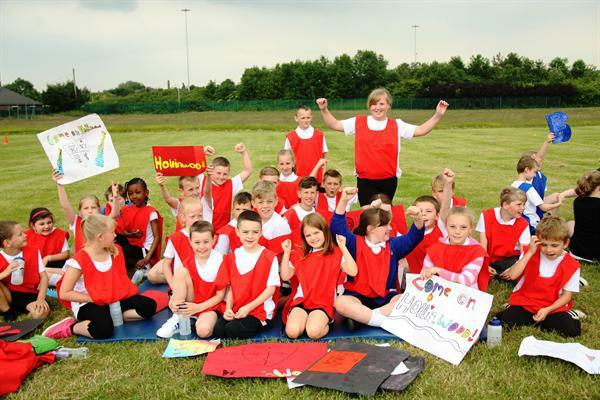 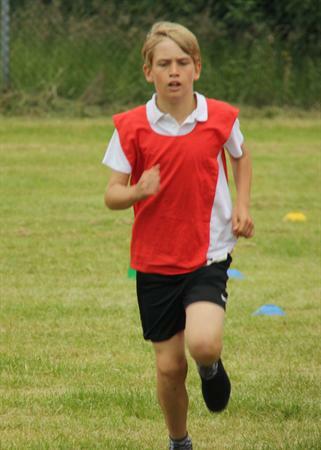 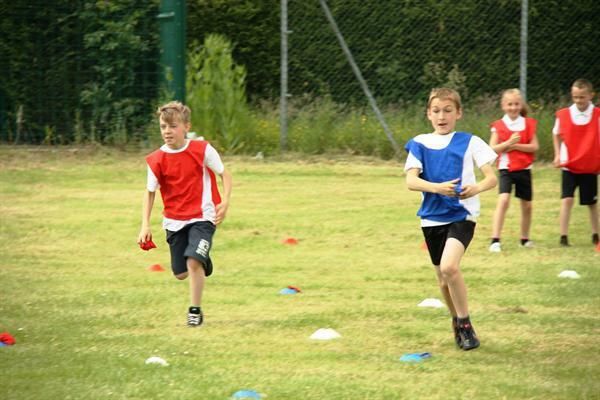 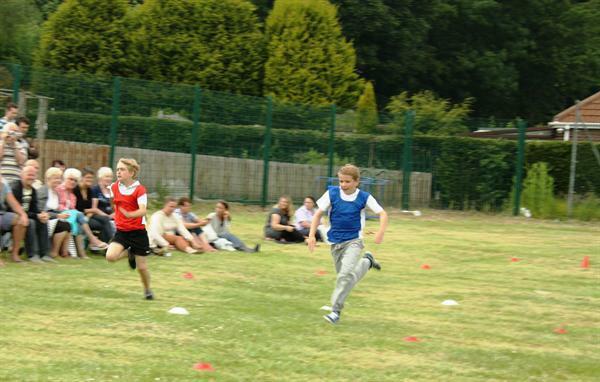 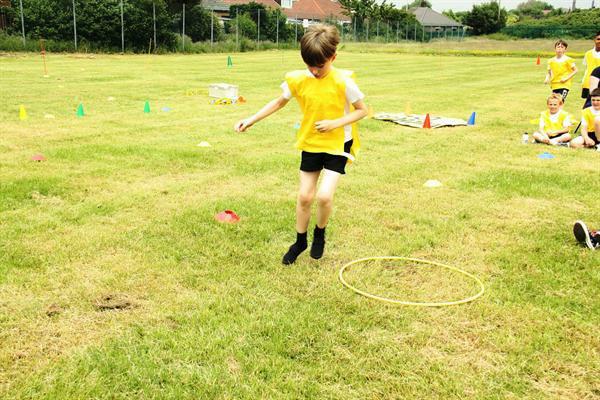 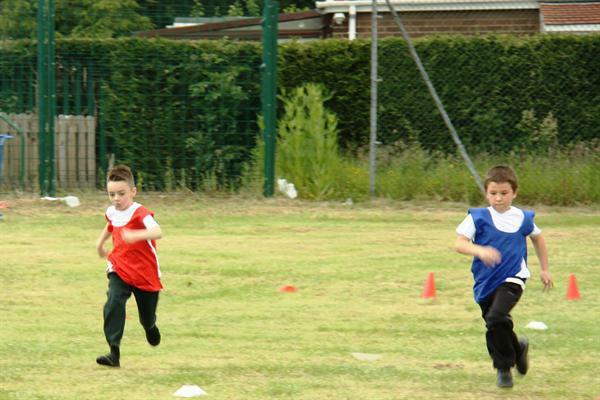 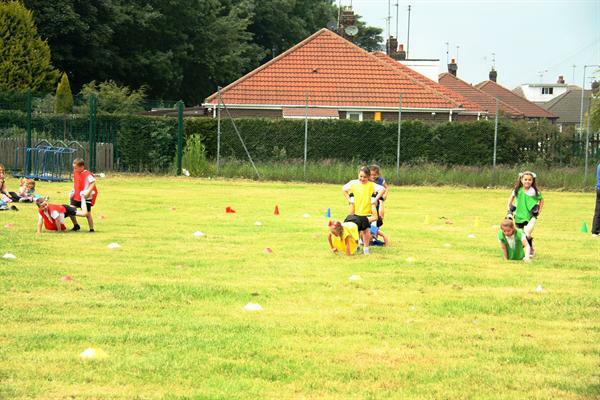 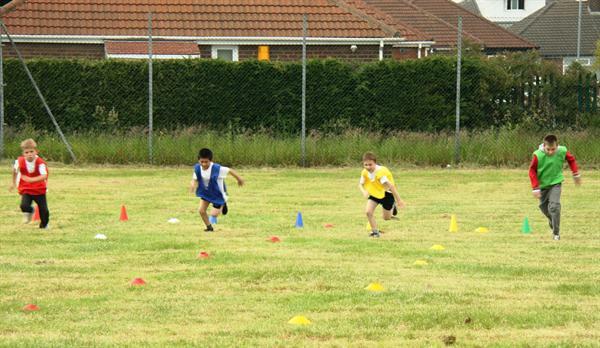 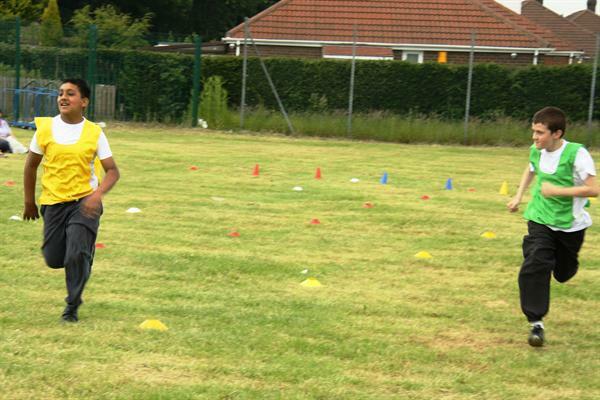 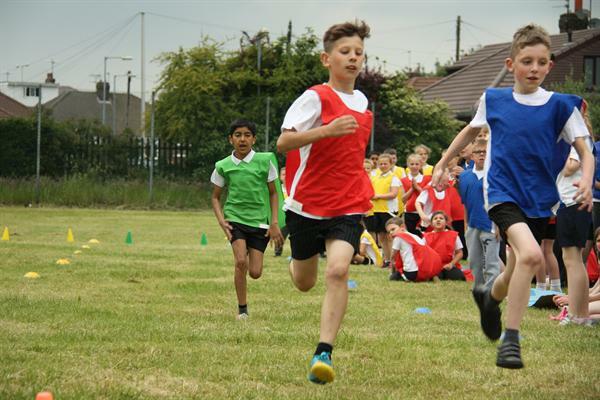 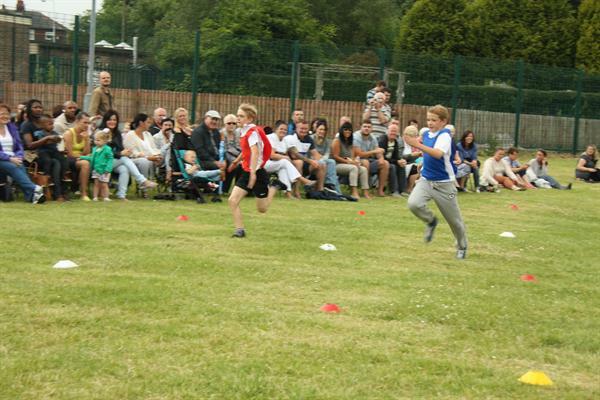 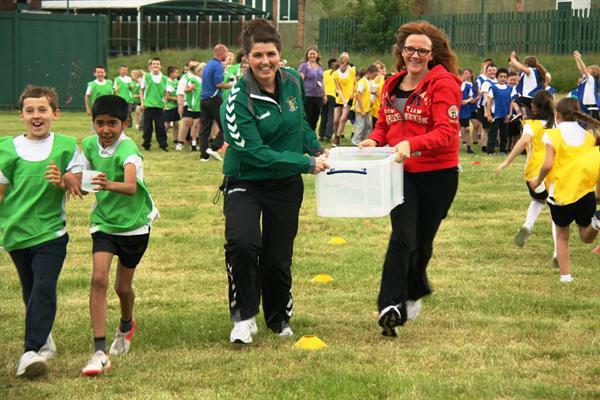 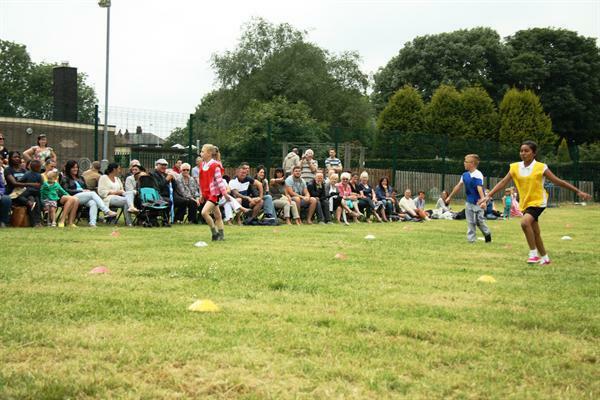 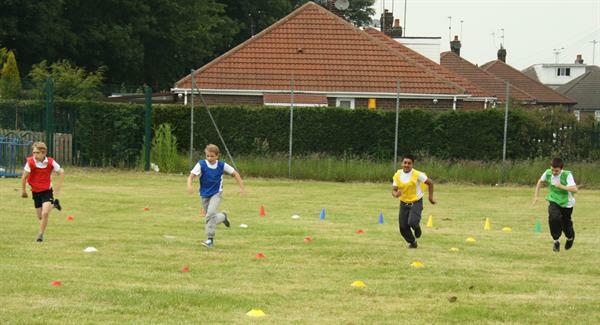 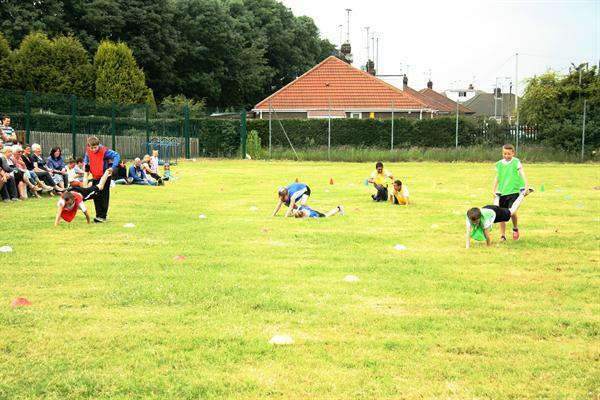 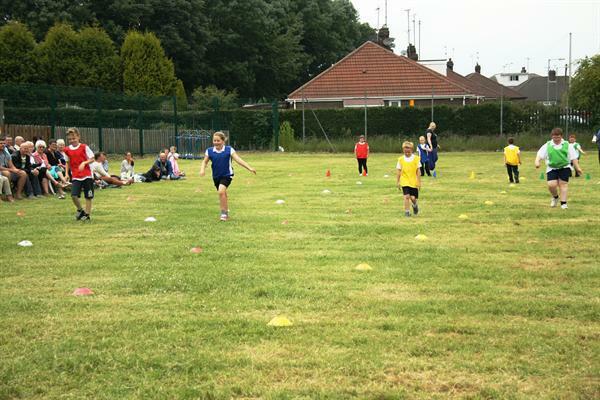 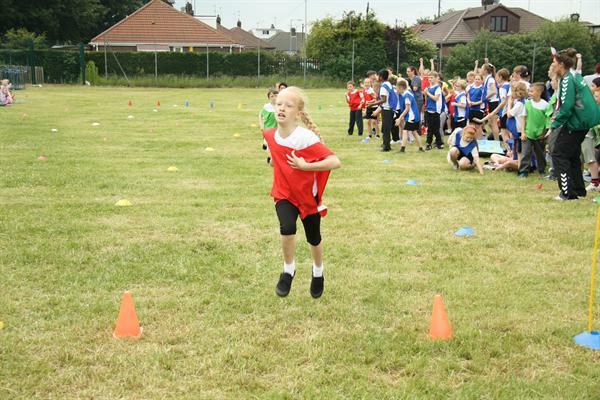 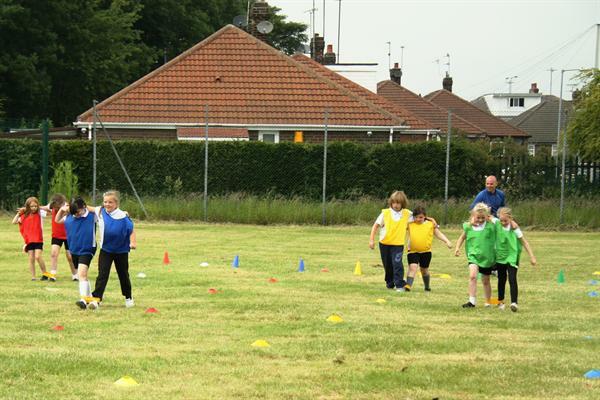 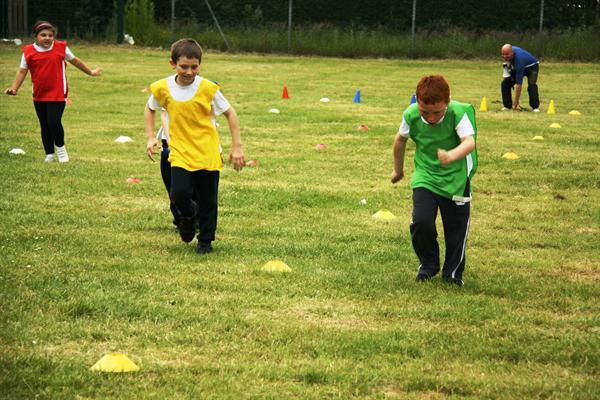 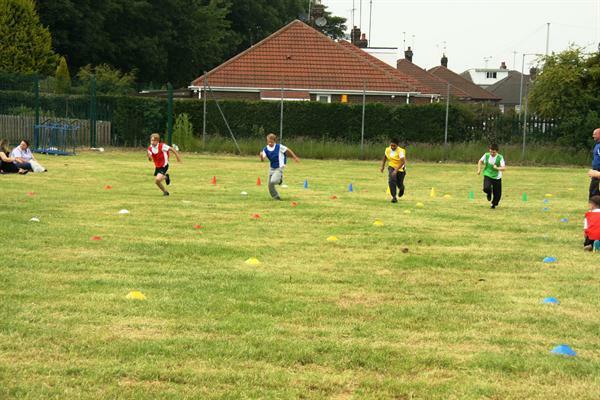 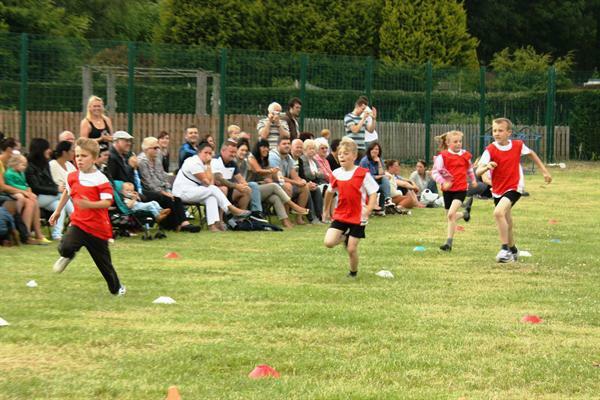 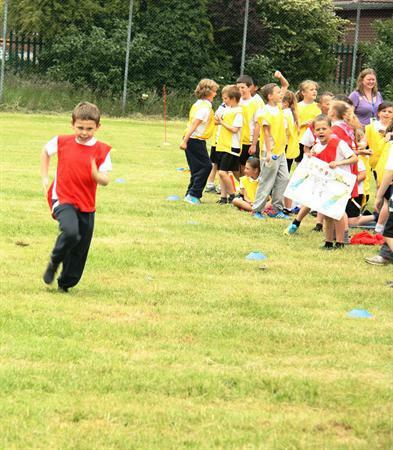 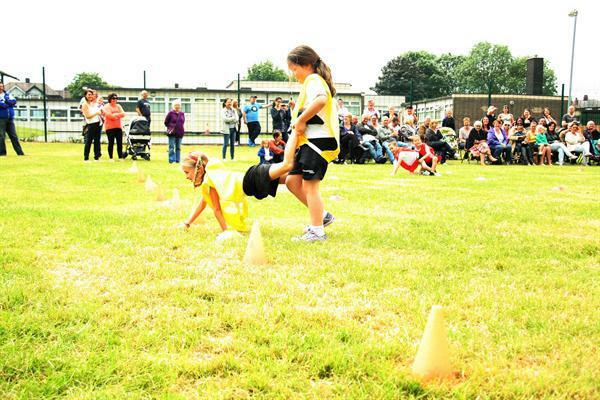 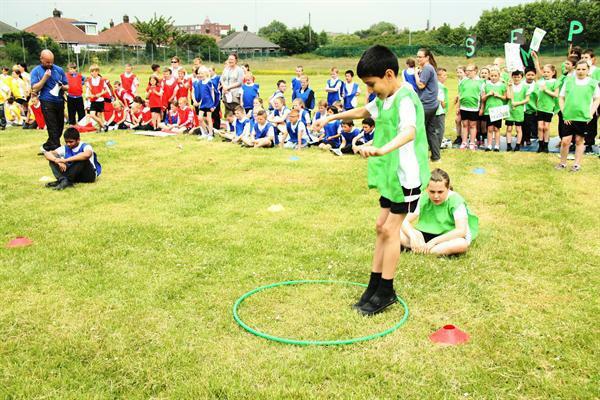 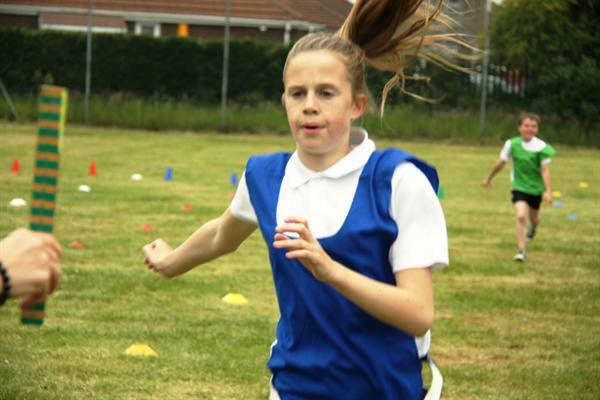 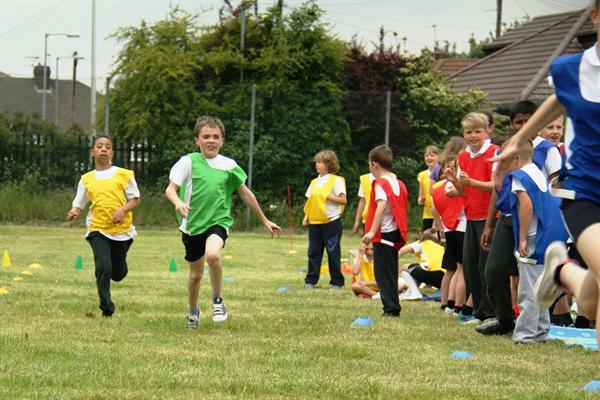 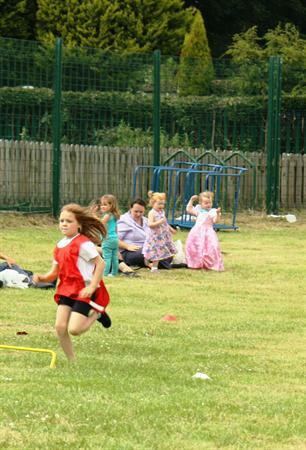 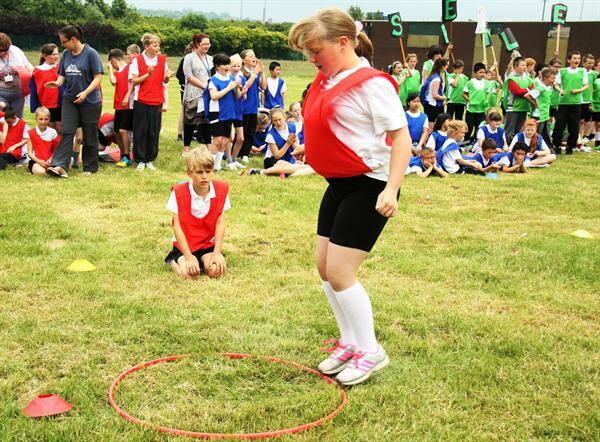 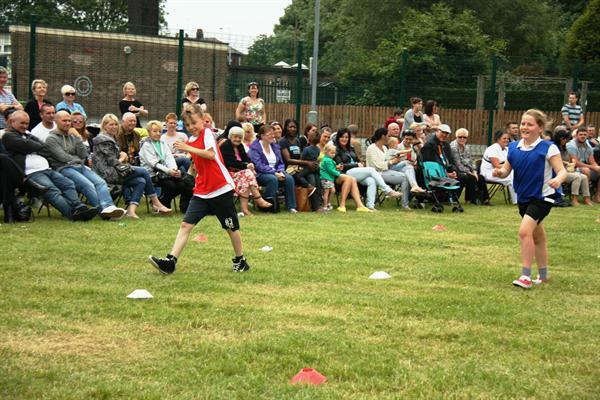 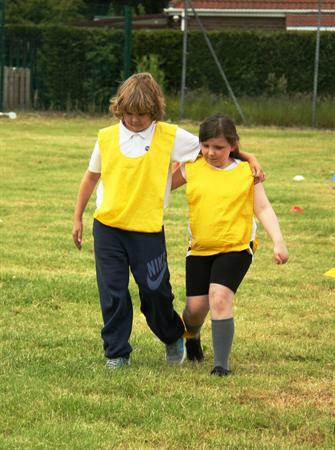 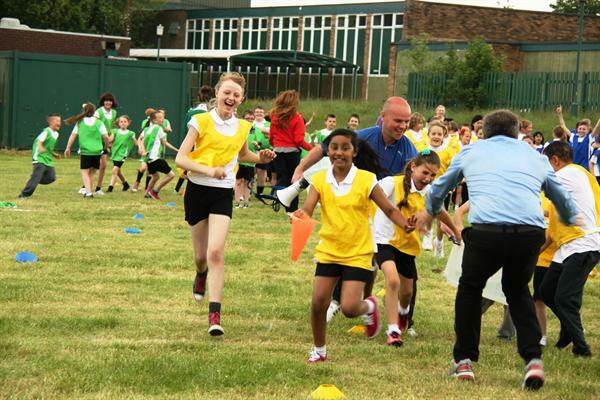 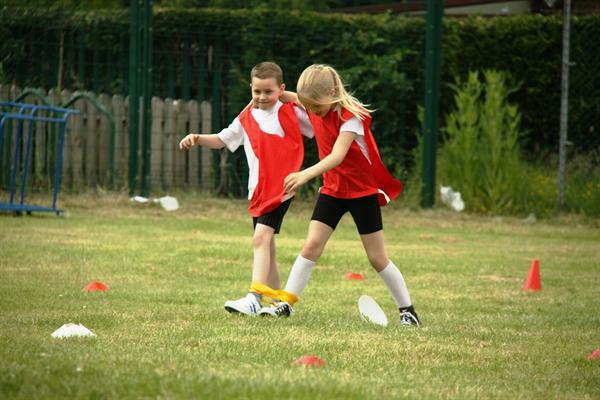 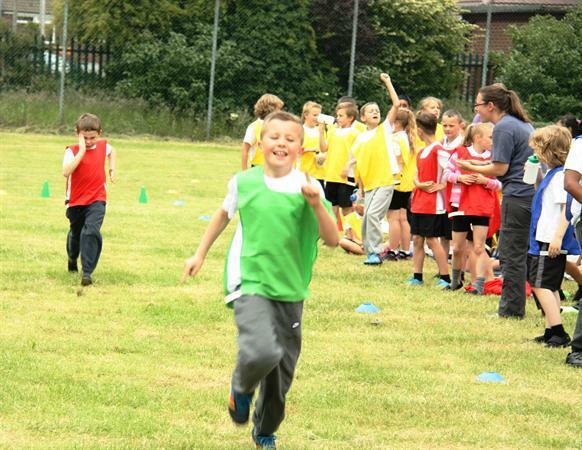 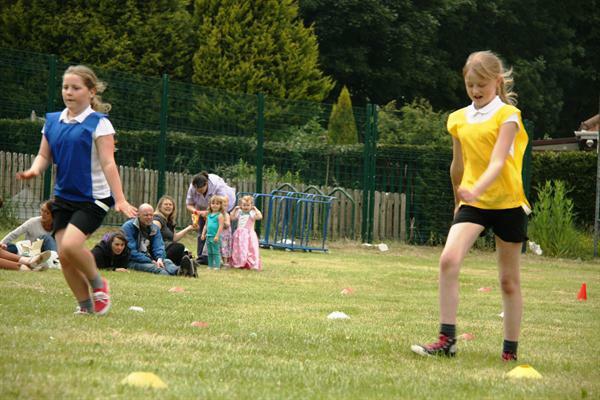 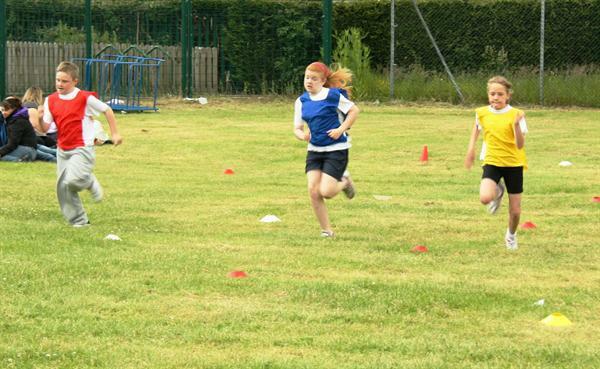 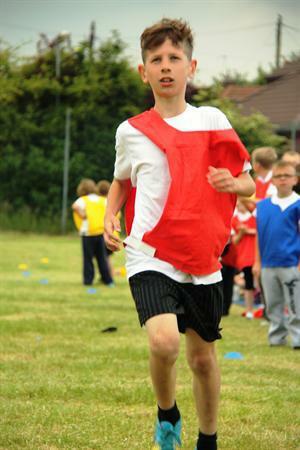 Today saw Round 2 of the Whitegate End Sports Day which was another fantastic day for everyone involved. 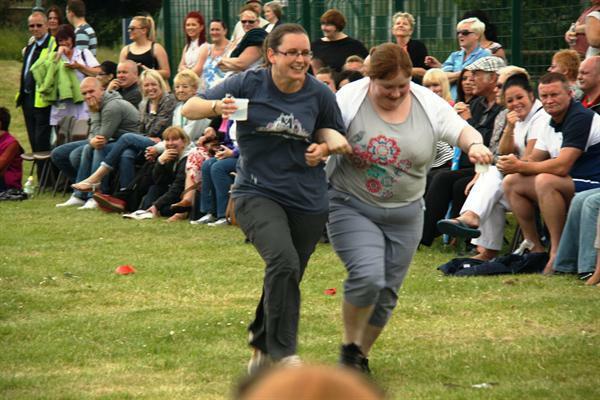 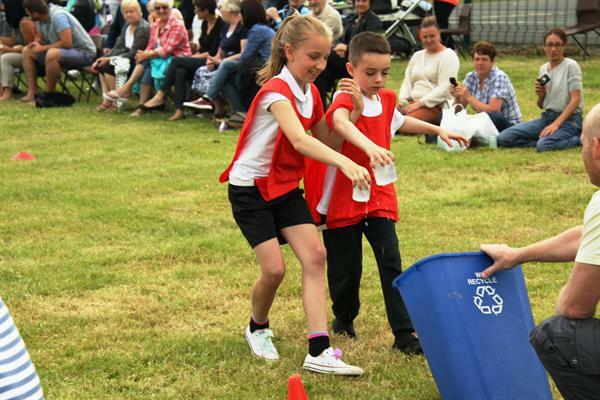 We kicked off the day with the famous Wheelbarrow Race, giving spectators and participants many laughs as pairs worked with one person holding someone’s legs while the ‘leg-less’ competitor moved using their hands as quickly as possible! 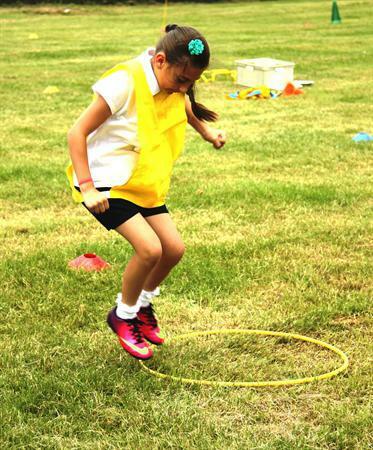 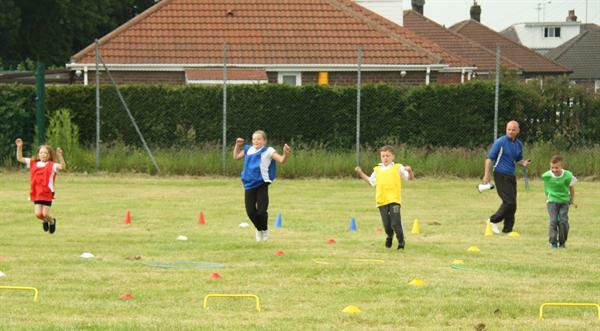 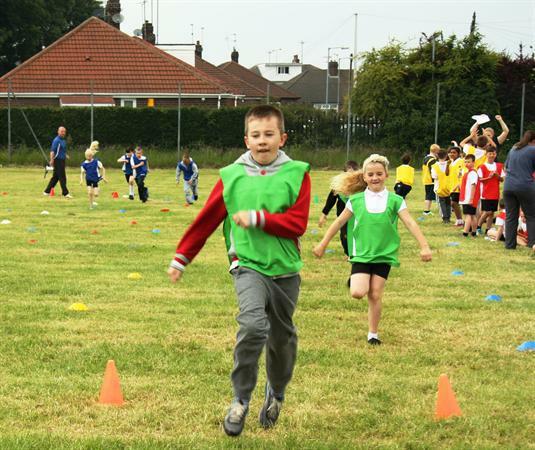 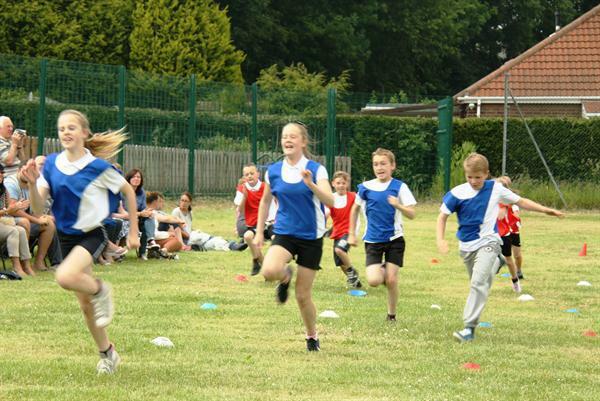 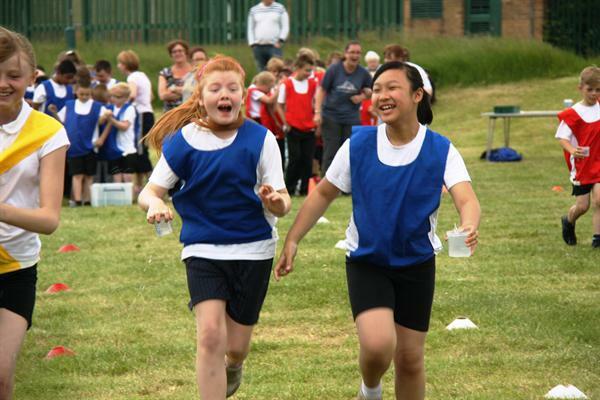 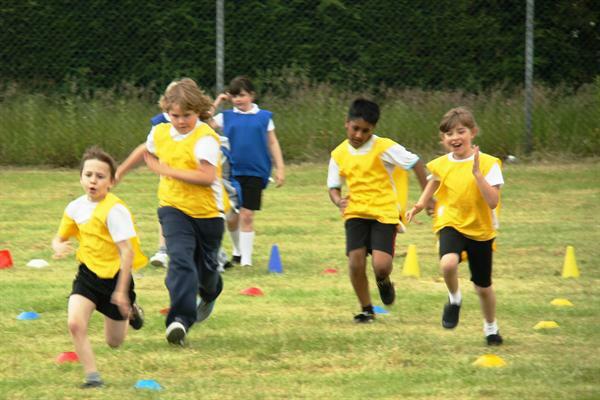 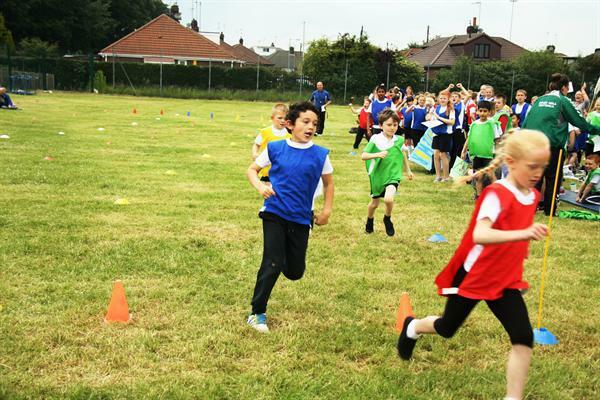 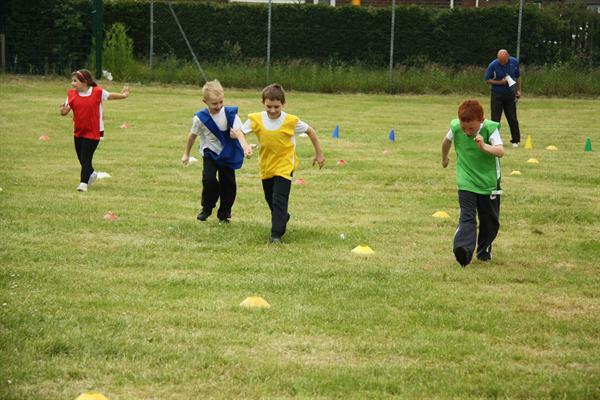 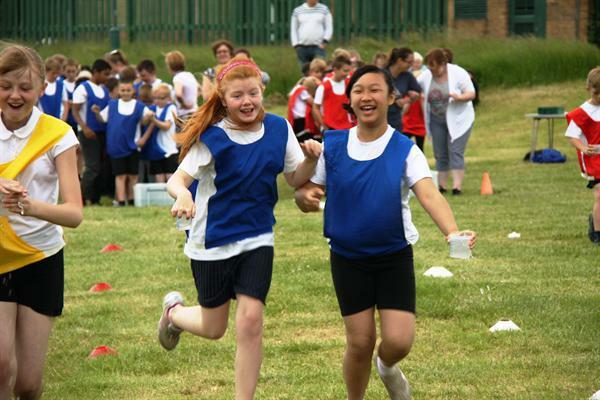 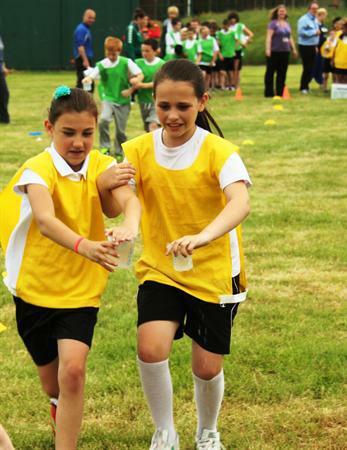 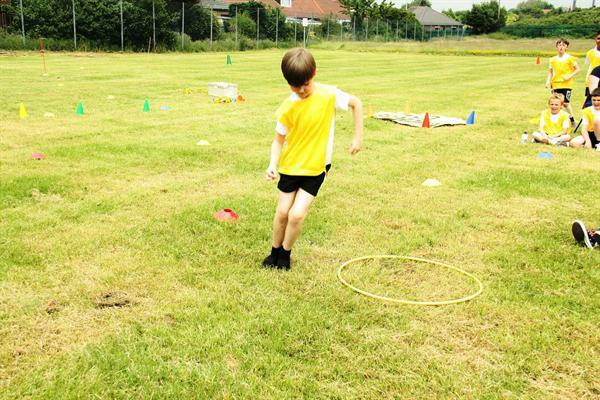 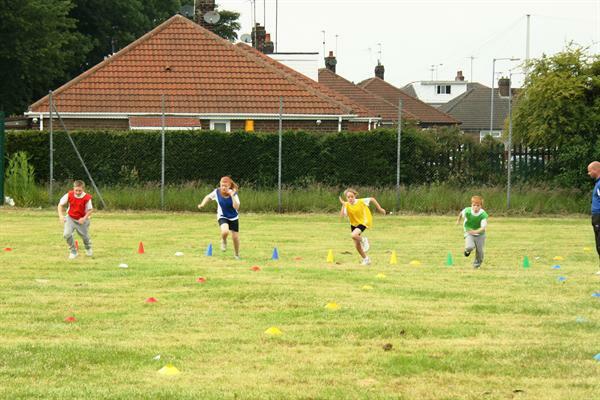 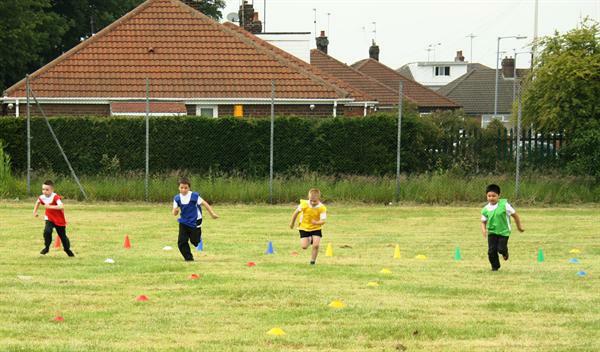 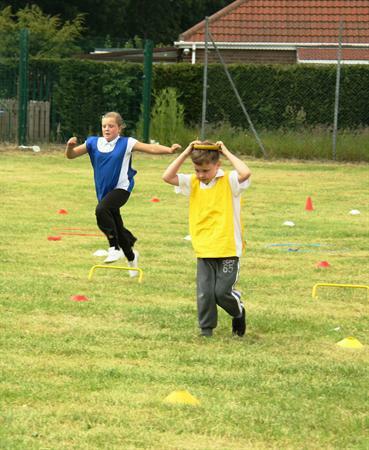 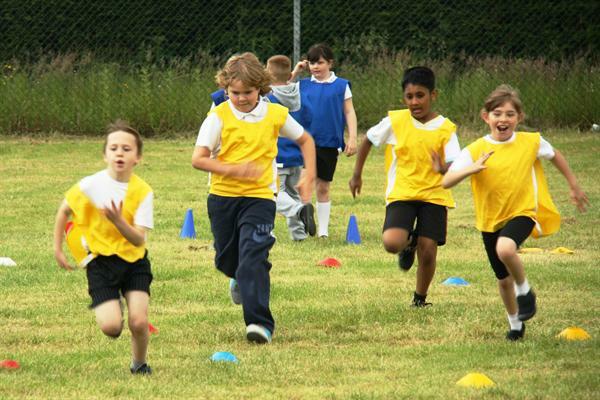 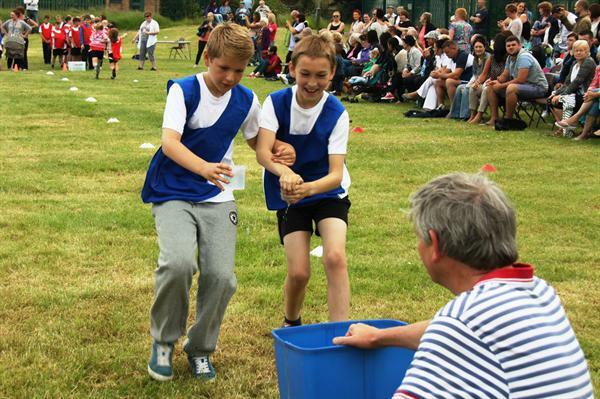 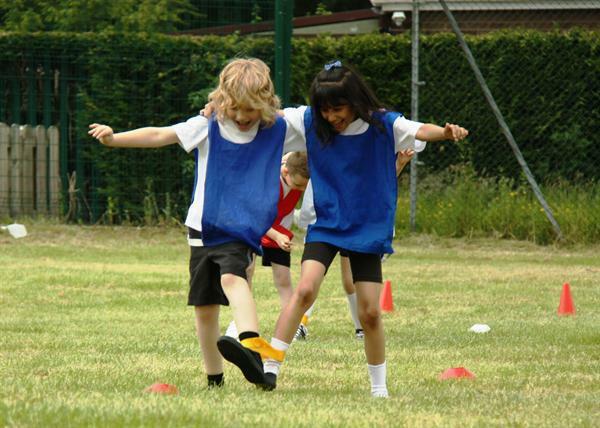 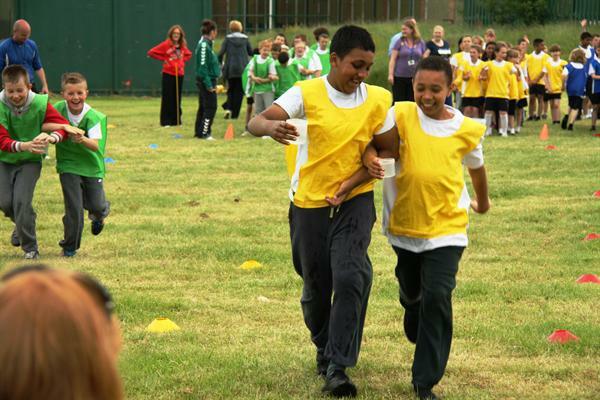 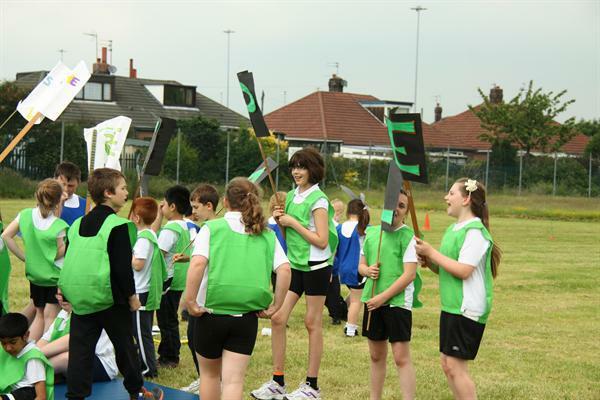 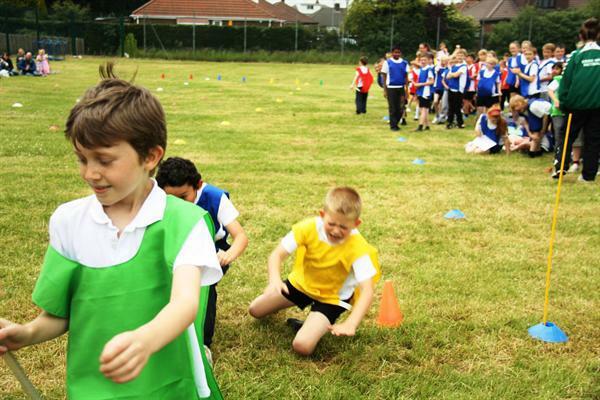 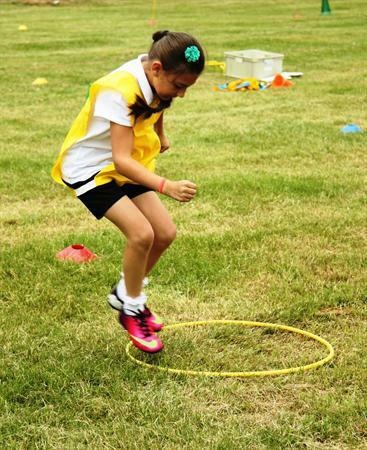 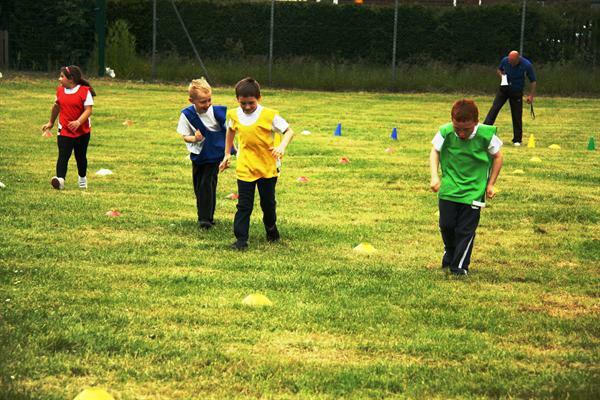 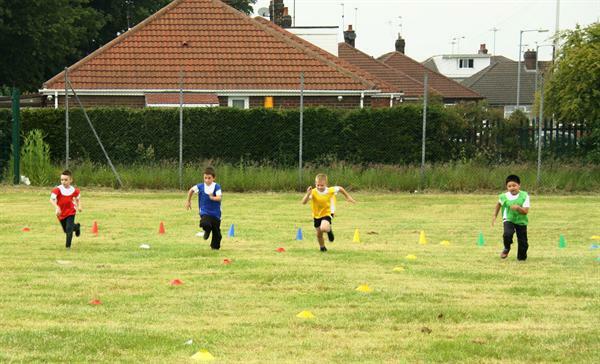 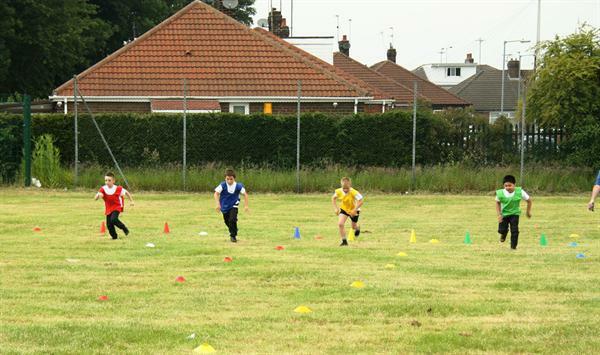 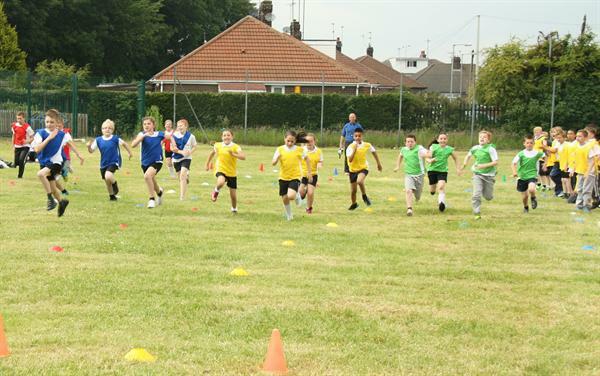 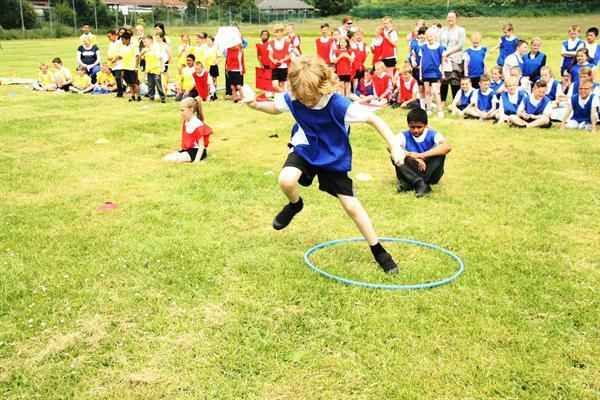 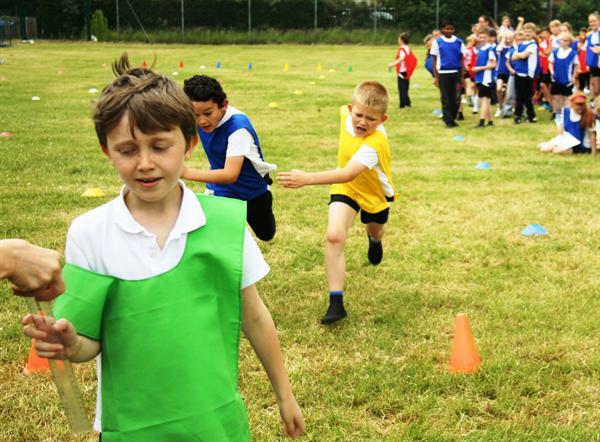 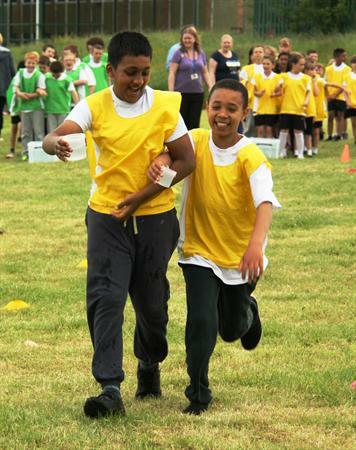 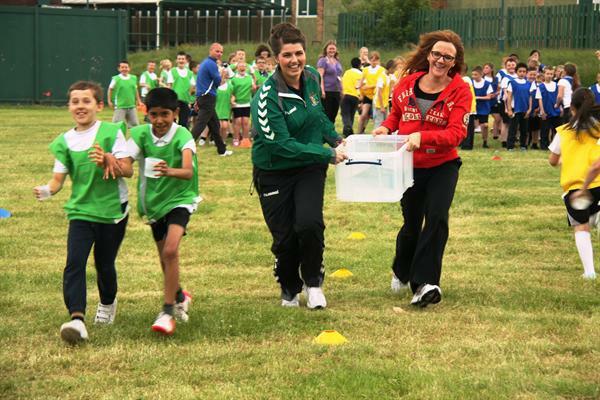 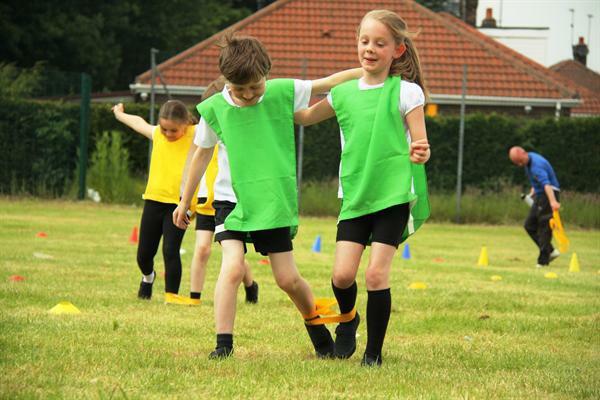 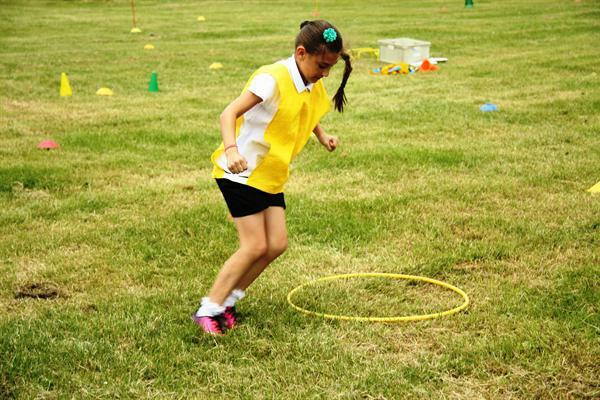 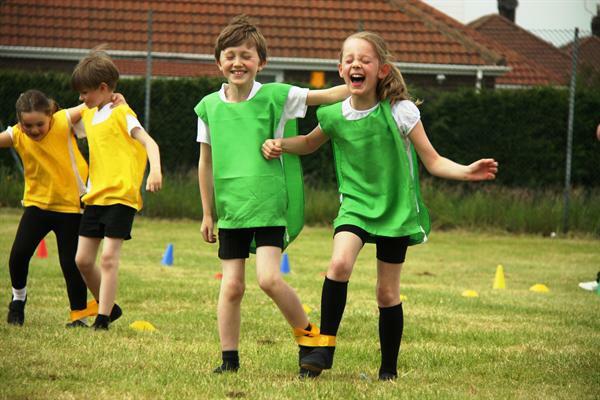 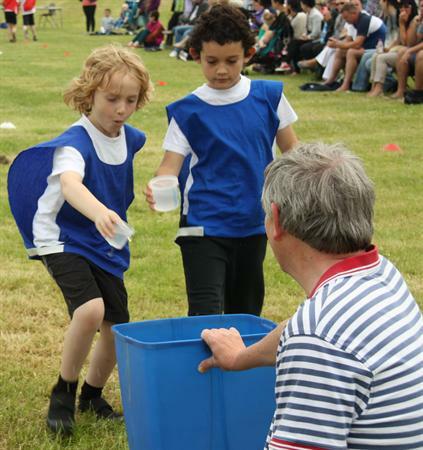 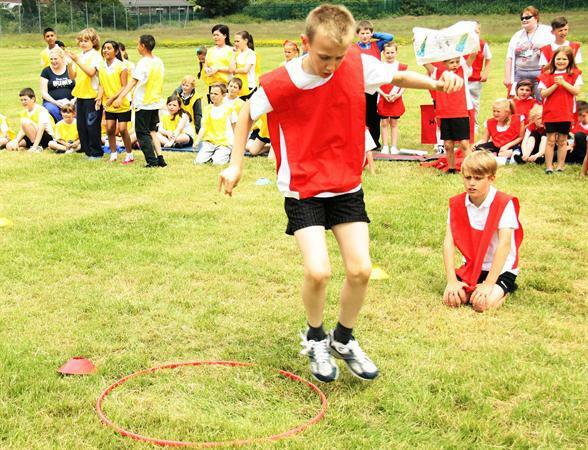 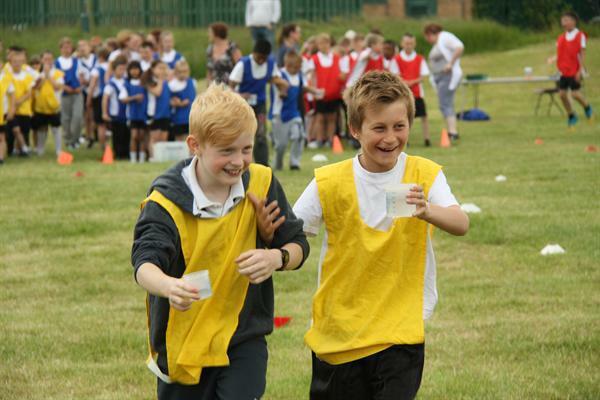 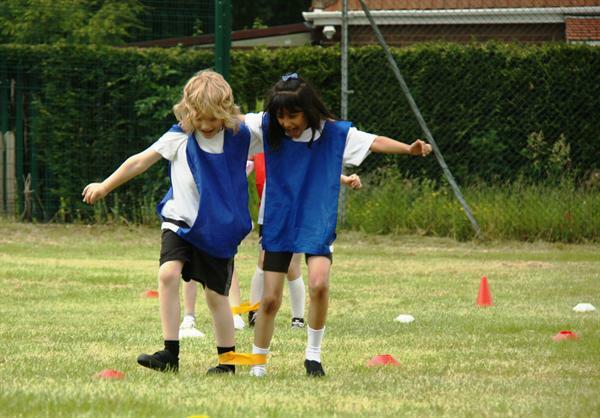 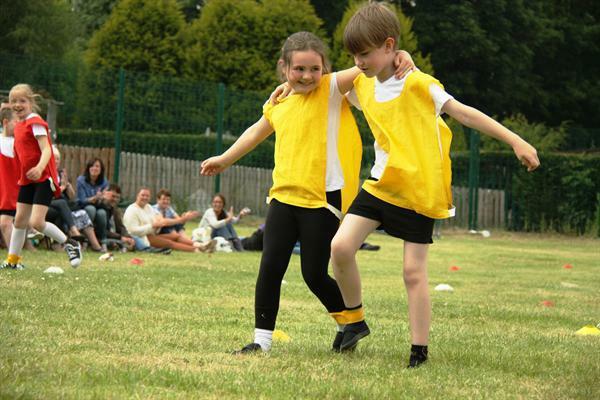 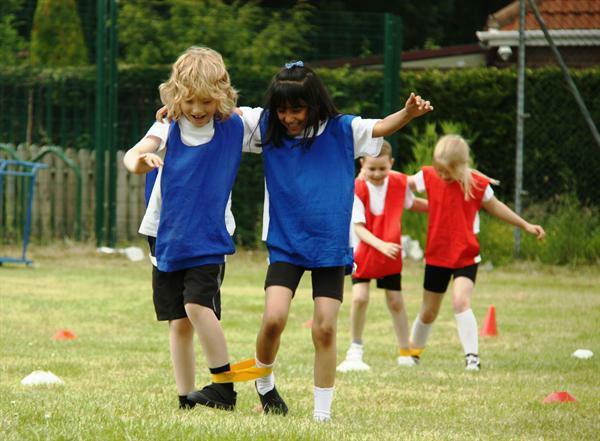 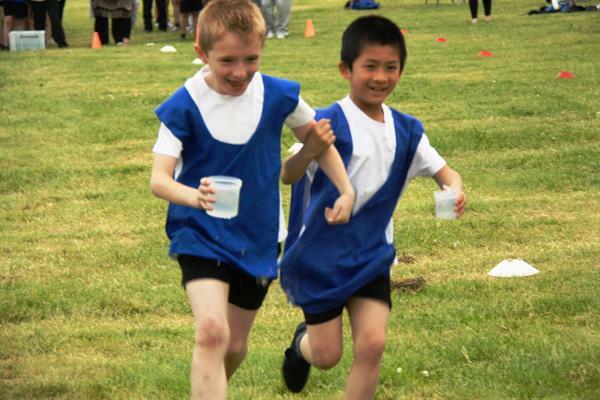 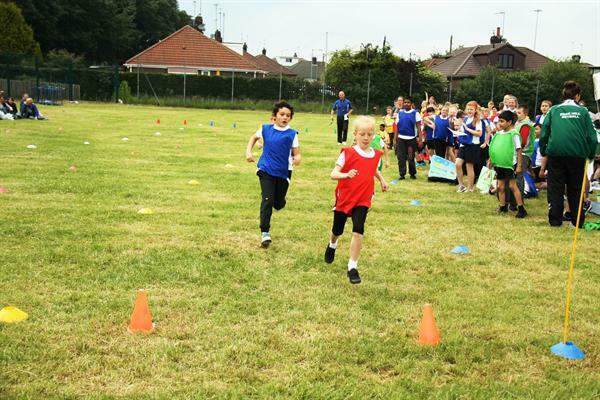 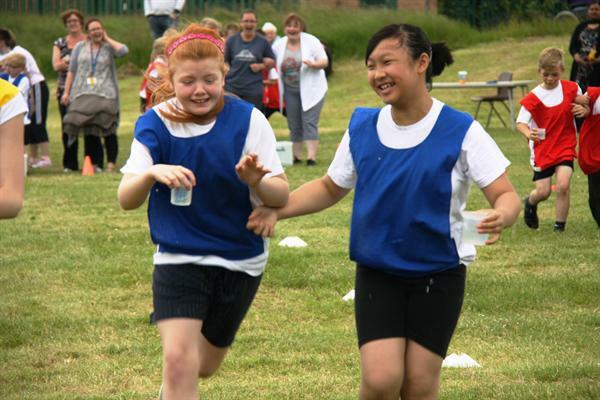 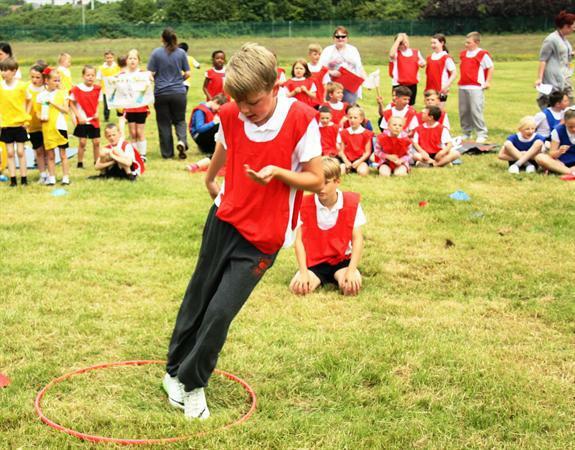 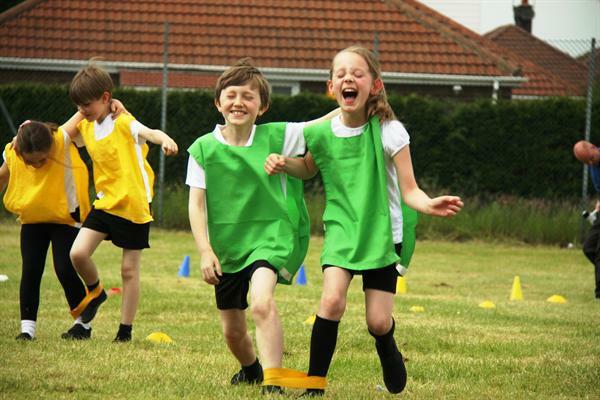 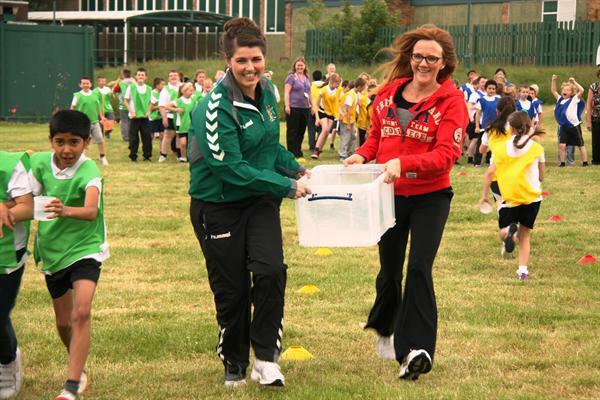 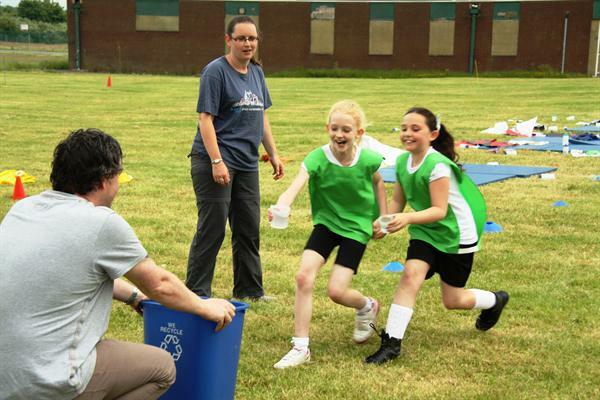 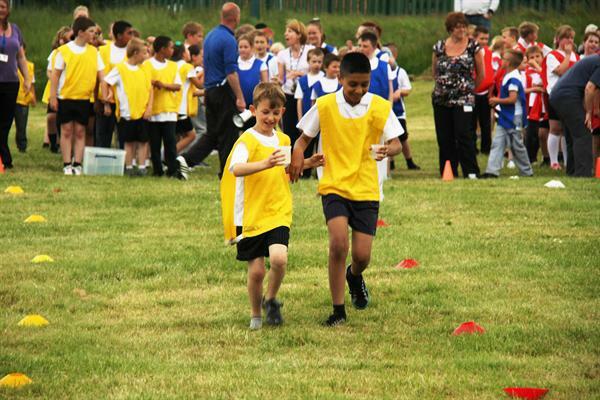 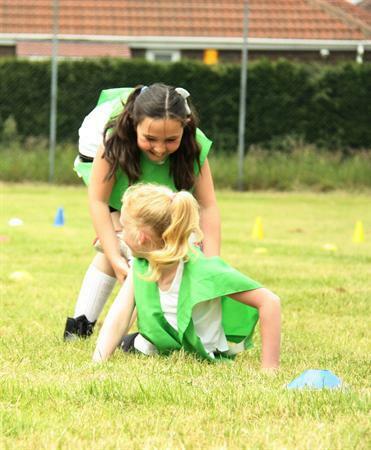 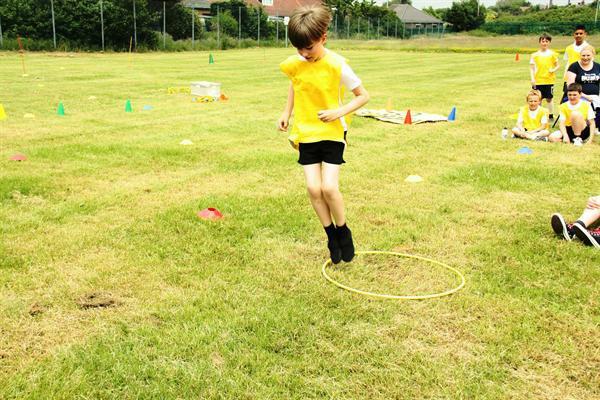 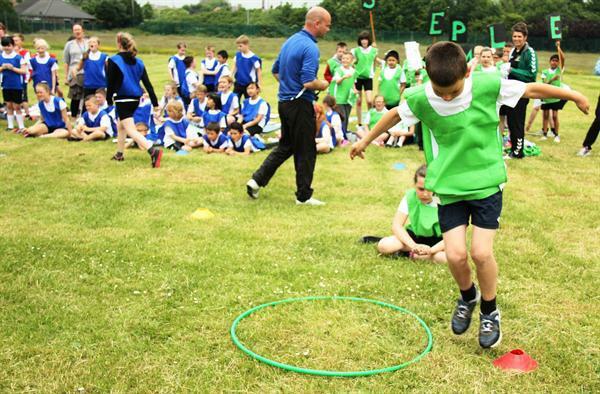 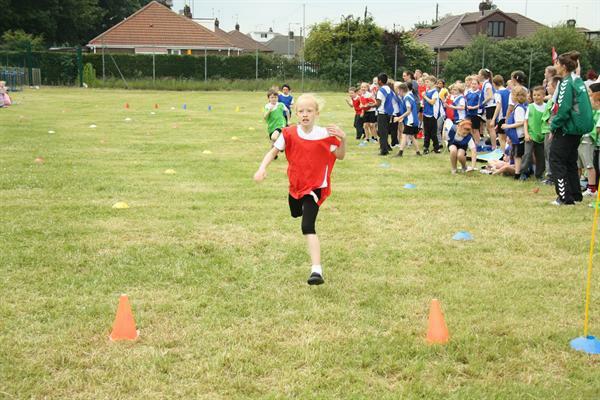 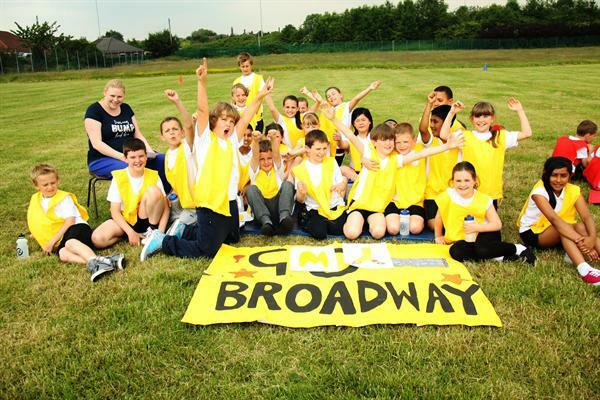 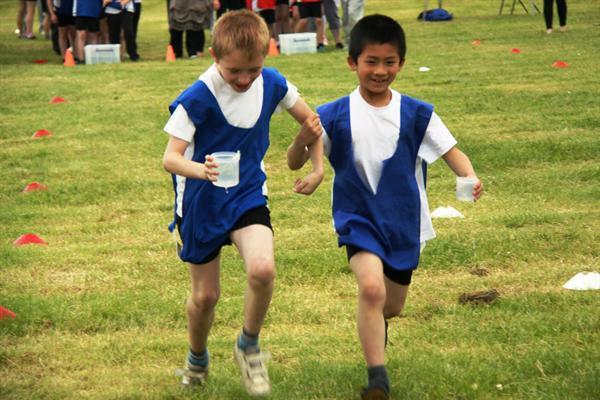 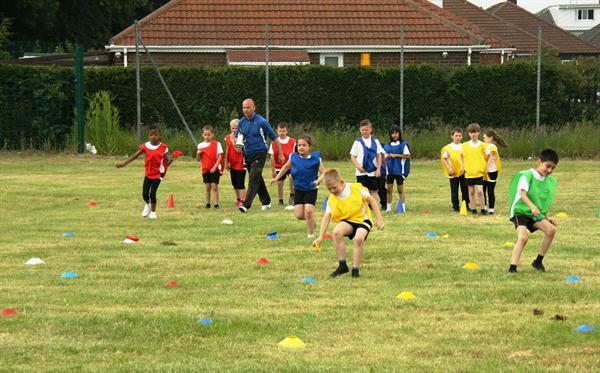 Other activities in the day included the Speed Bounce, the Long Distance Race, the Speed Walk, the 3-legged Race, the Sprint Race, the Relay Race and finally, the Water Challenge. 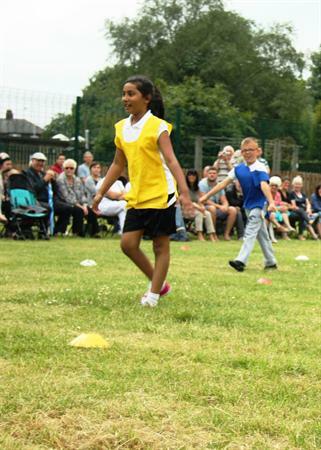 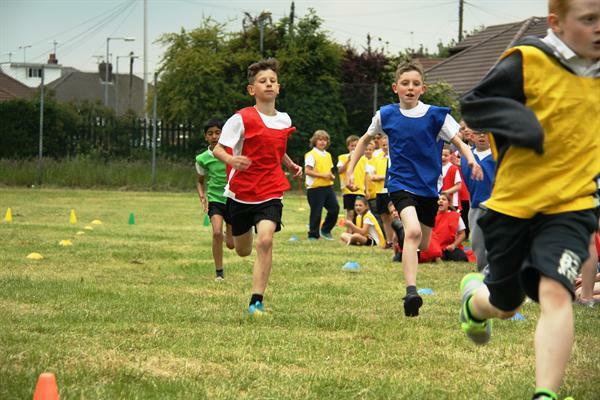 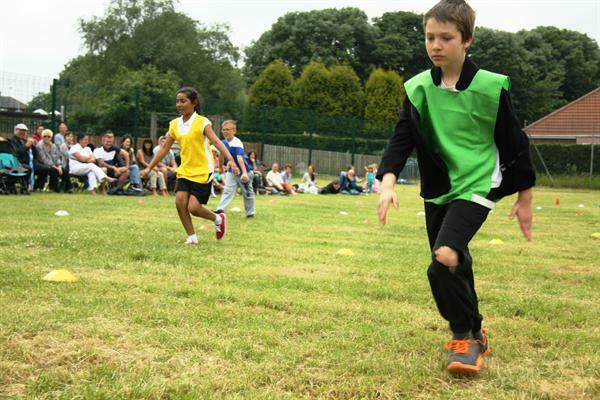 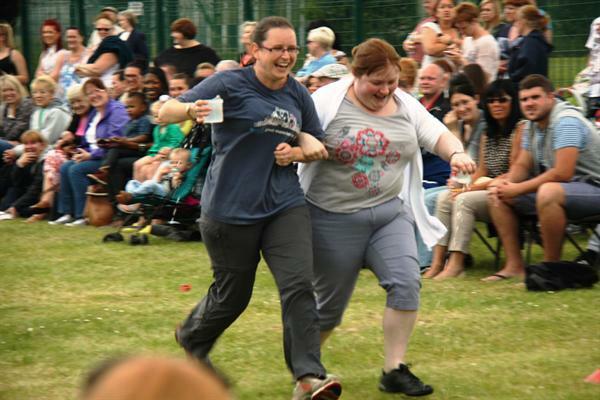 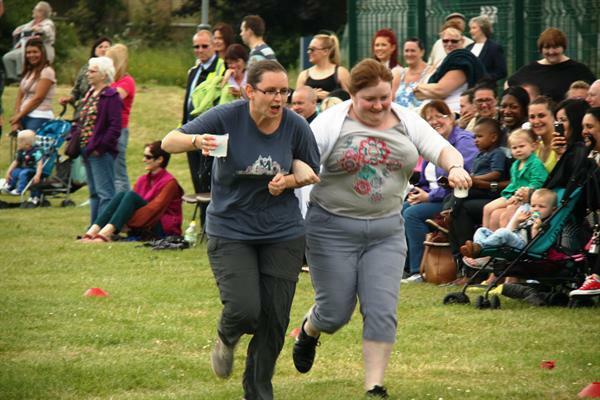 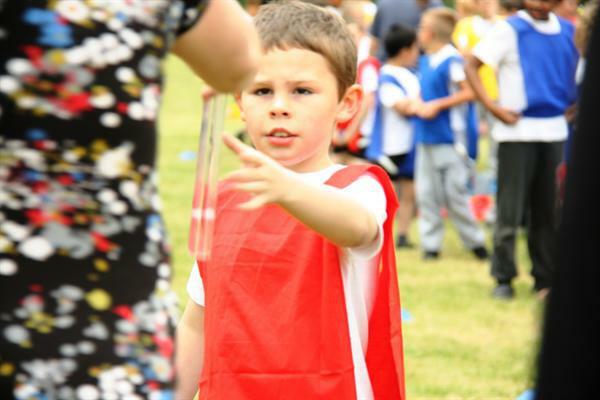 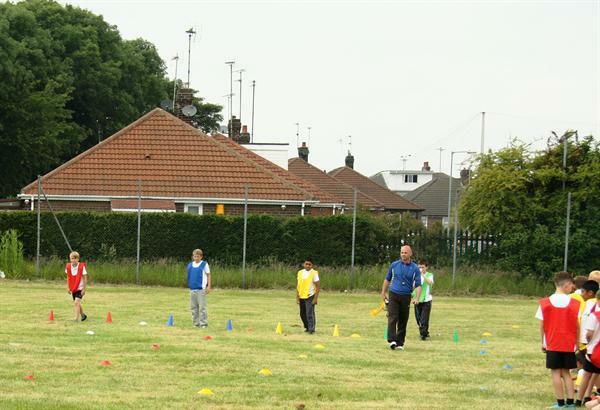 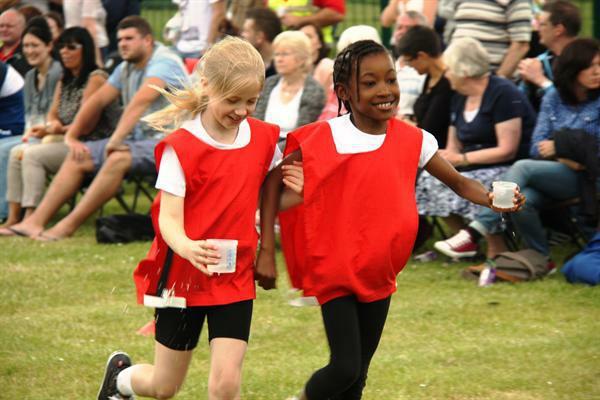 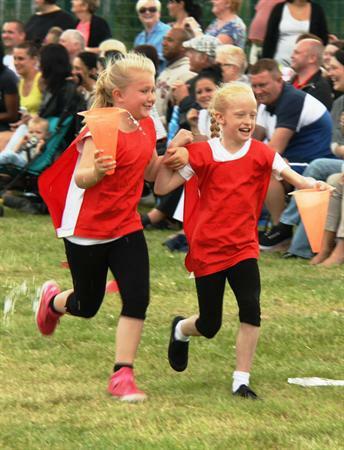 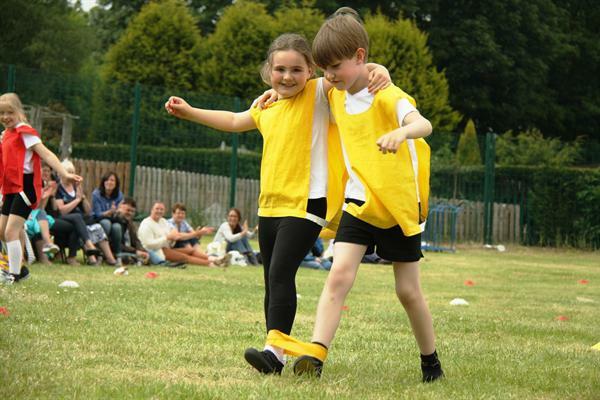 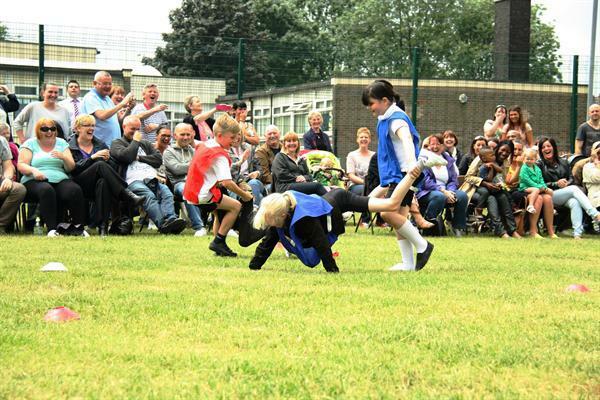 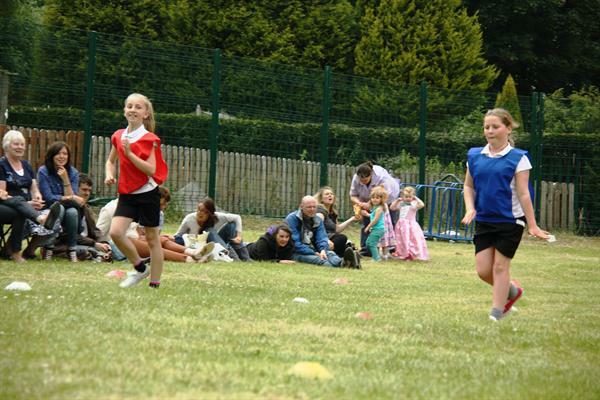 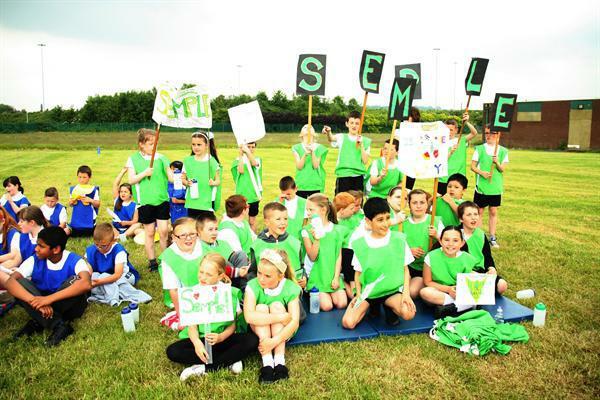 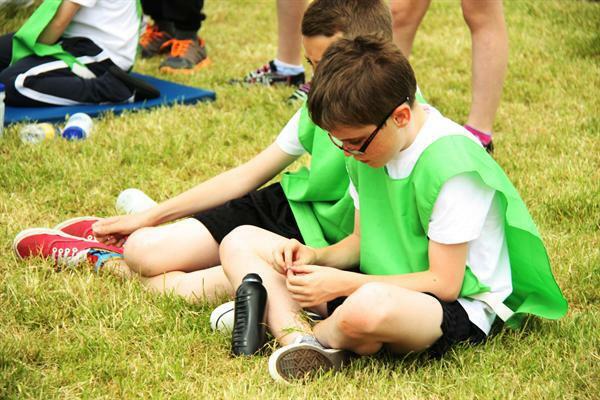 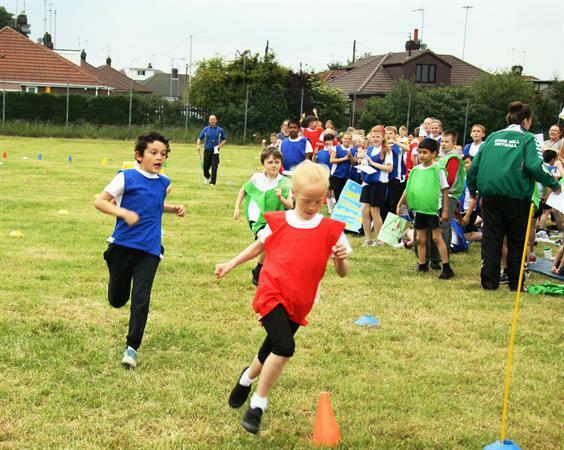 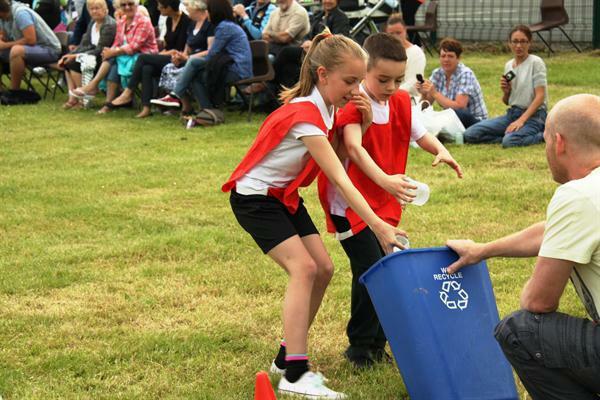 Everyone worked really hard to make sure that the day was a roaring success and, despite some rain in the morning, the weather brightened up in time for a splendid Sports Day! 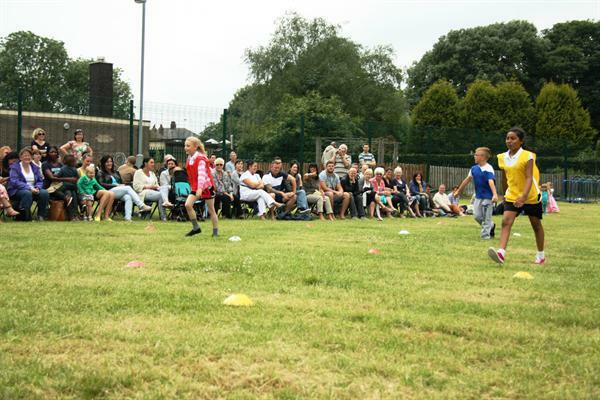 A big thank you to all the parents who volunteered their time, the children who got stuck in and the teachers who all helped put together a great day. 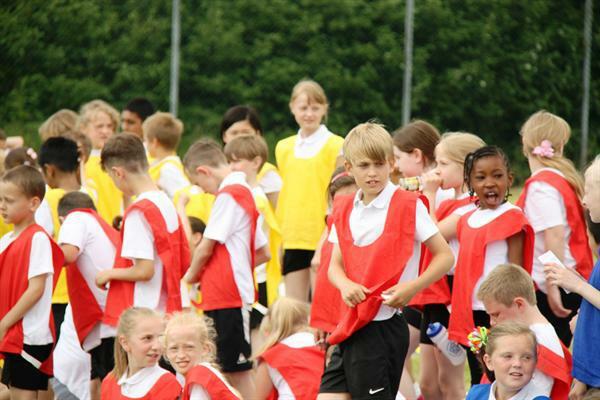 See our photos to see the highlights of a hilarious and enjoyable day!